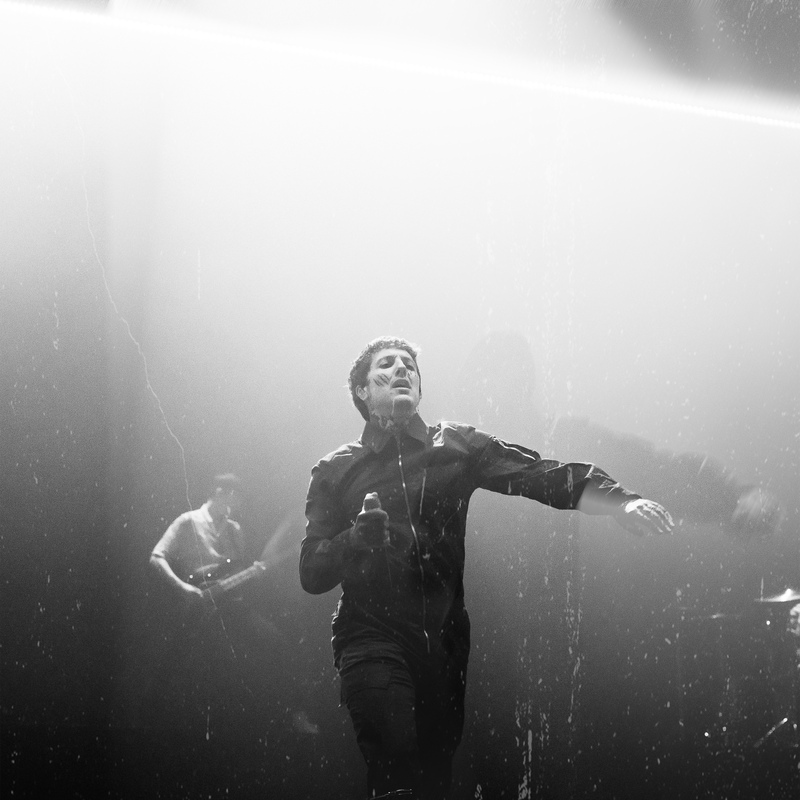 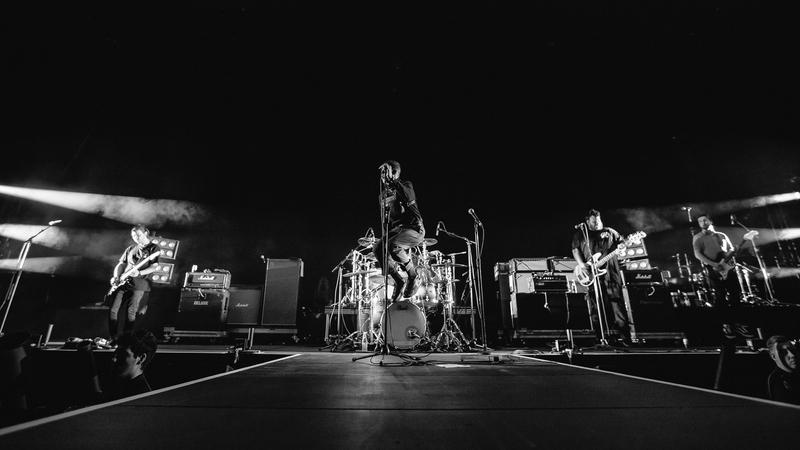 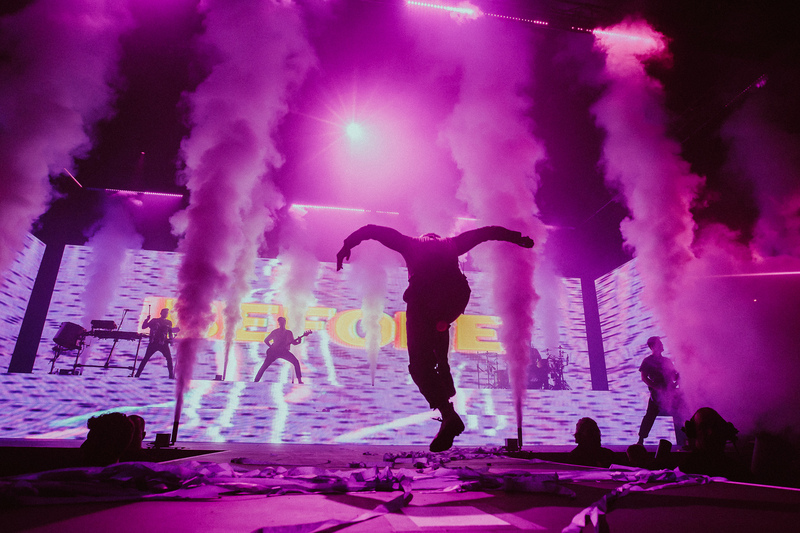 Sheffield based band, Bring Me the Horizon, brought their highly anticipated ‘First Love’ tour to Brisbane. 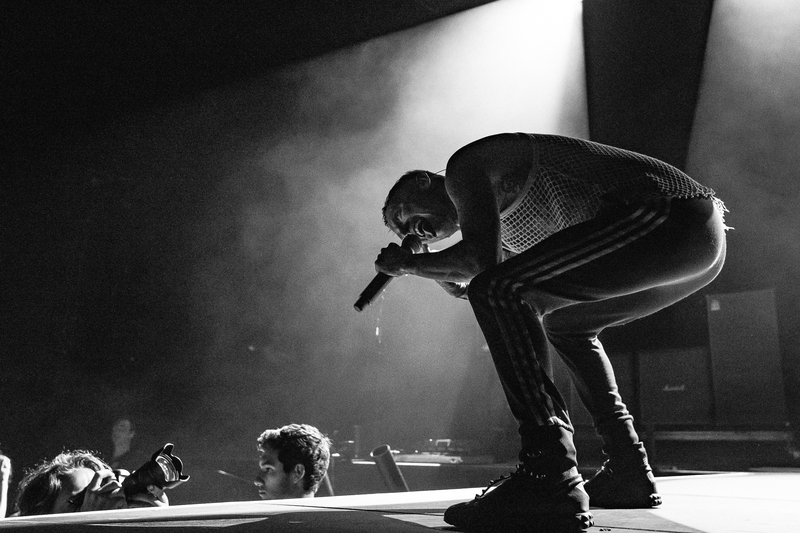 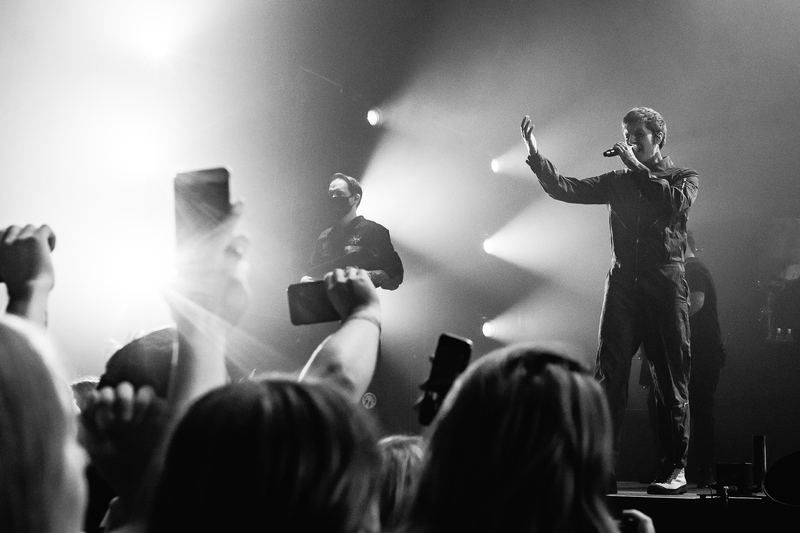 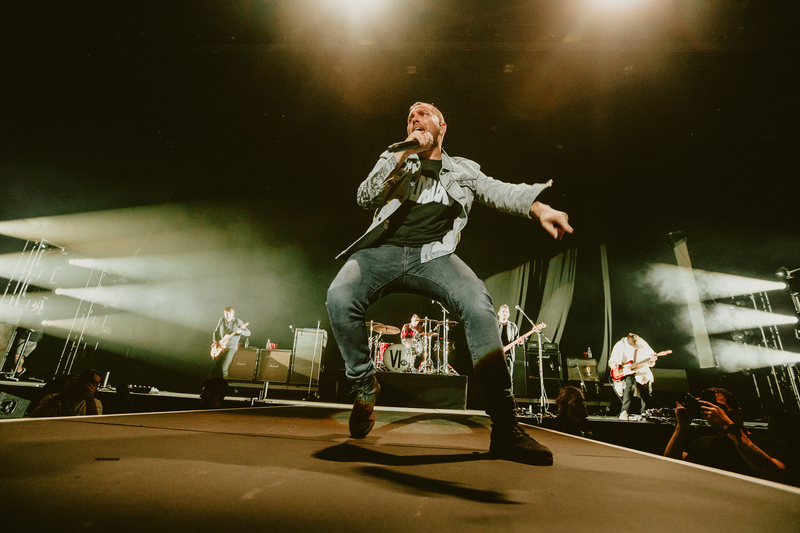 The multi-platinum selling band drew an impressive crowd of all ages, who were more than ready to celebrate some of the best music that the rock scene has to offer. 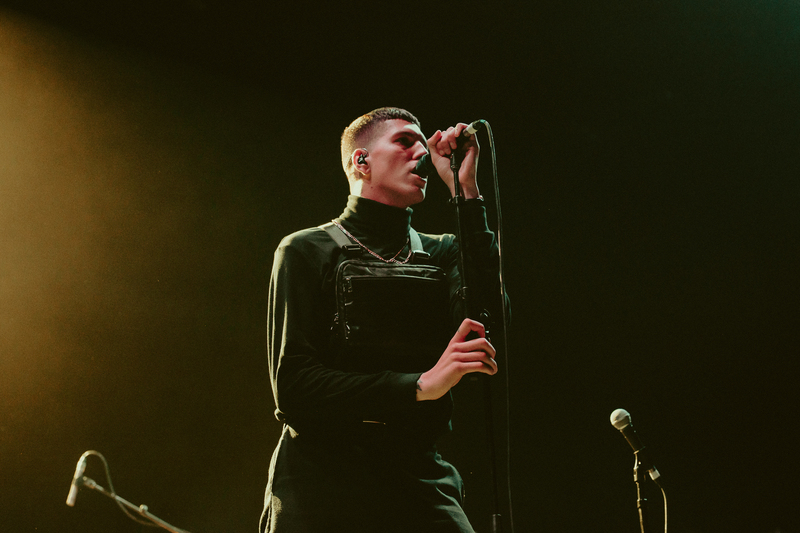 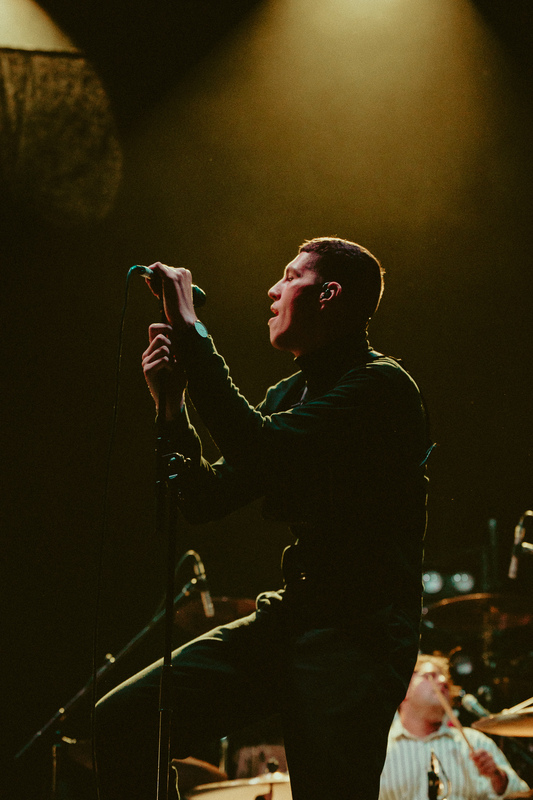 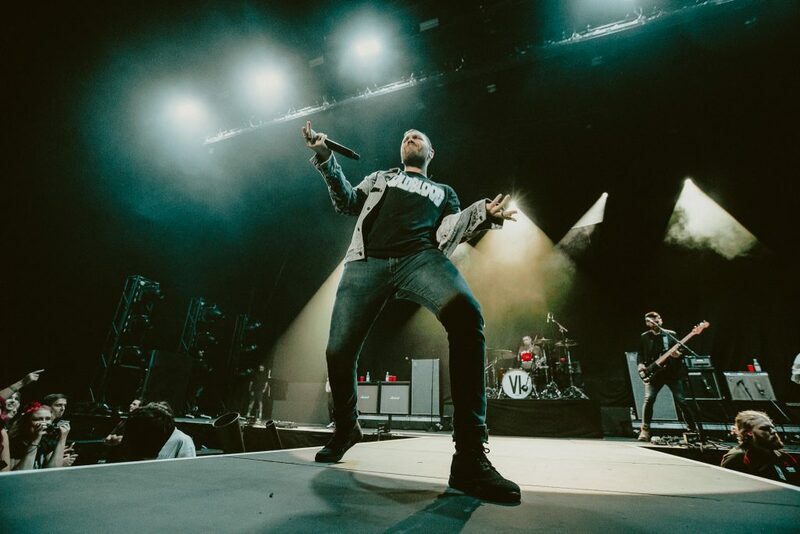 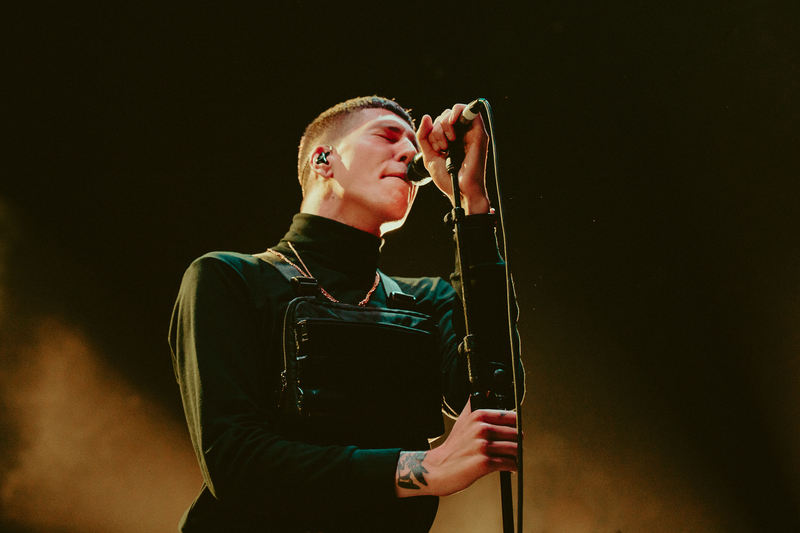 The audience was treated to the sounds of supporting acts Trophy Eyes, Frank Carter and the Rattlesnakes and You Me at Six, before the main event. 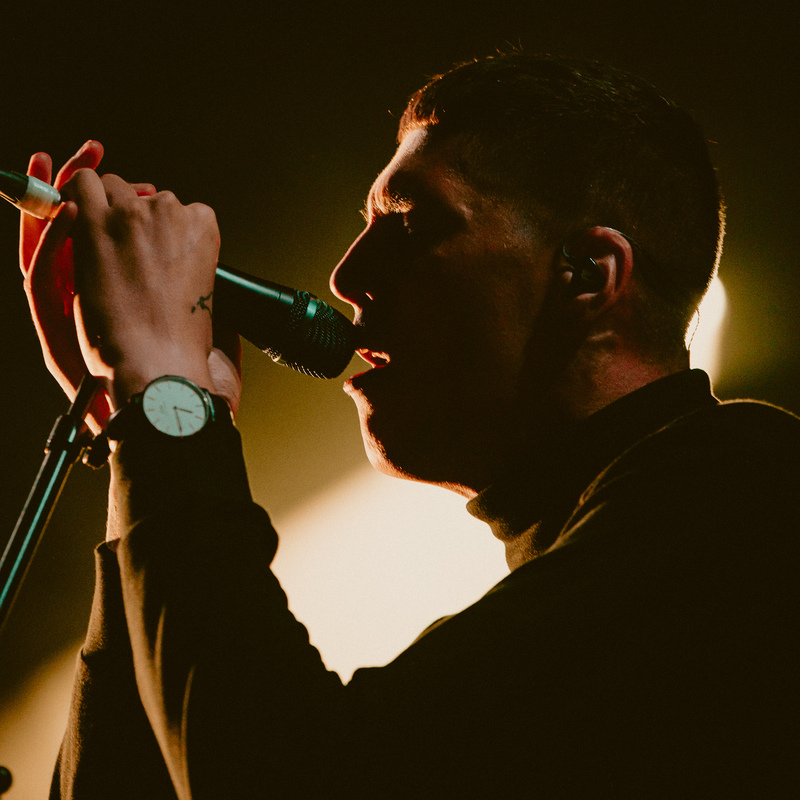 The unforgettable night kicked off with Newcastle natives, Trophy Eyes. 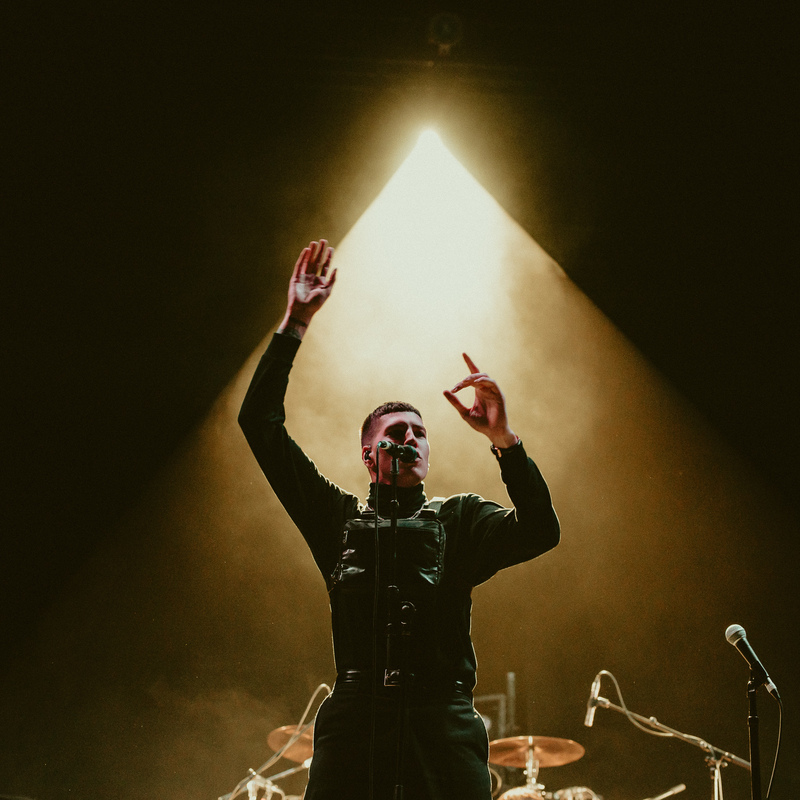 Despite being the first gig of the night, the immense energy emanating from lead singer, John Floreani, was more than enough to fill the arena. 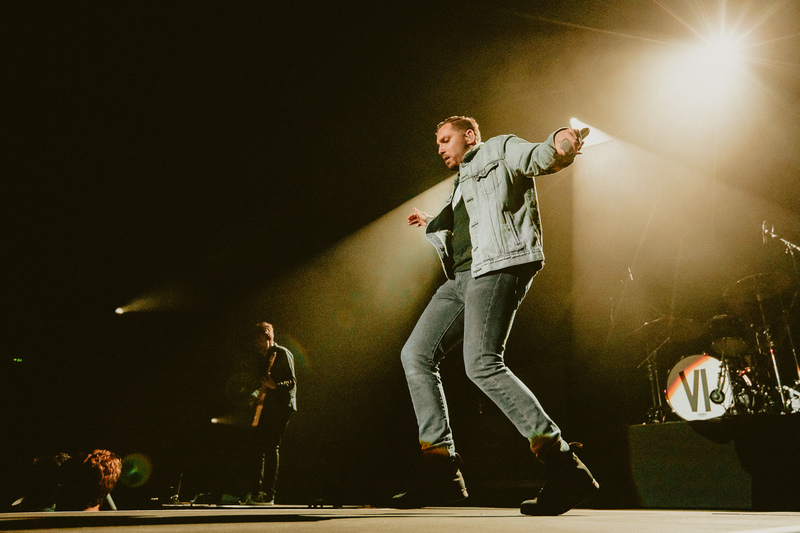 The group were a definite stand out of the night, lighting up the stage with a combination of hits from their latest album, The American Dream, and classic fan-favourites. 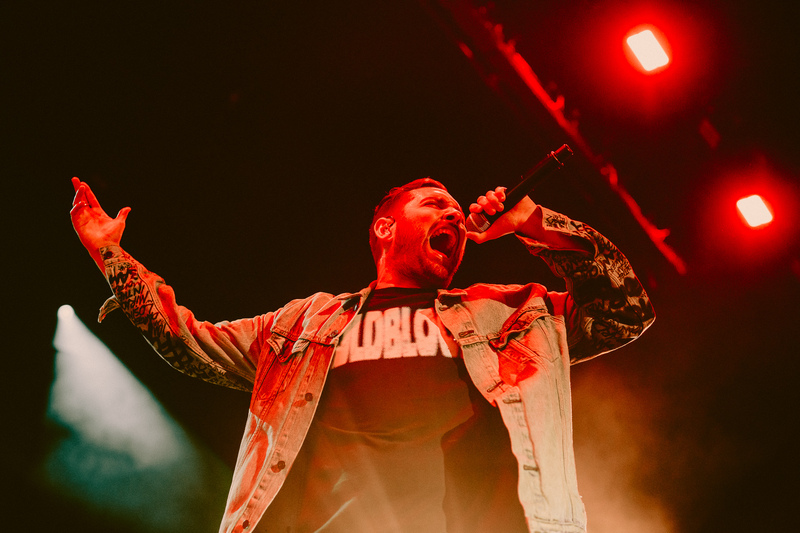 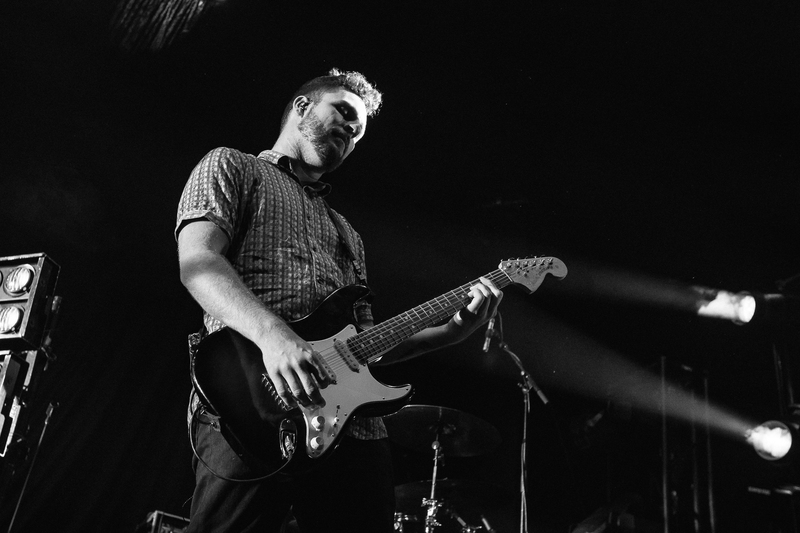 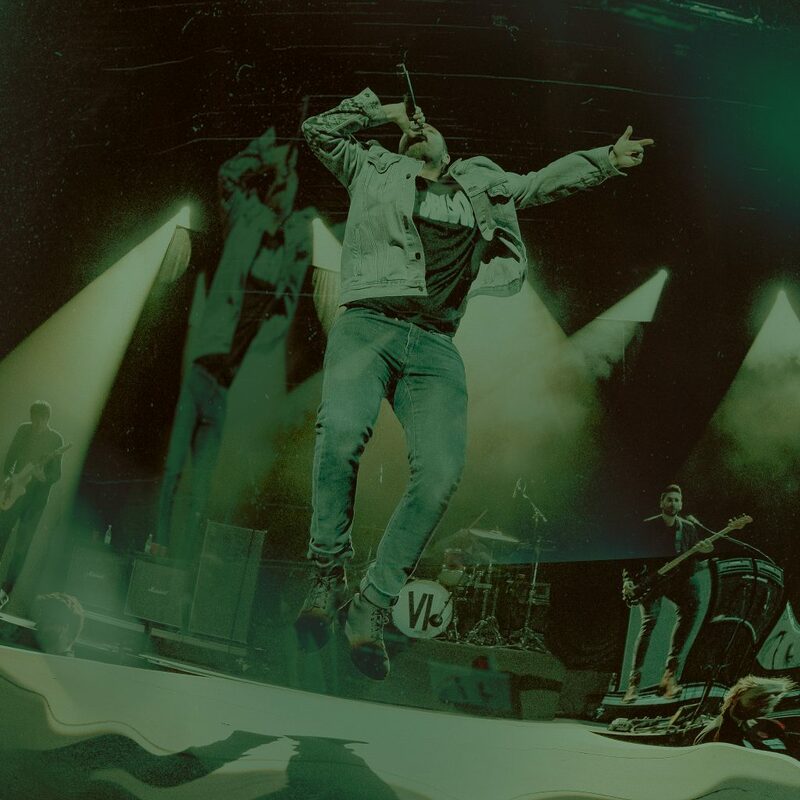 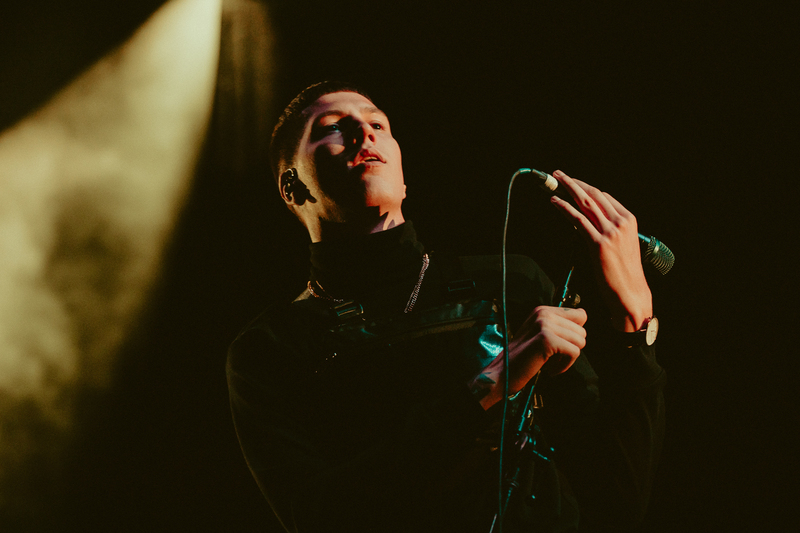 With the stellar union between Floreani’s youthful baritone voice and the band’s pop-punk sound played to perfection, it will be no surprise if Trophy Eyes return to the Entertainment Centre in the near future headlining a tour of their own. 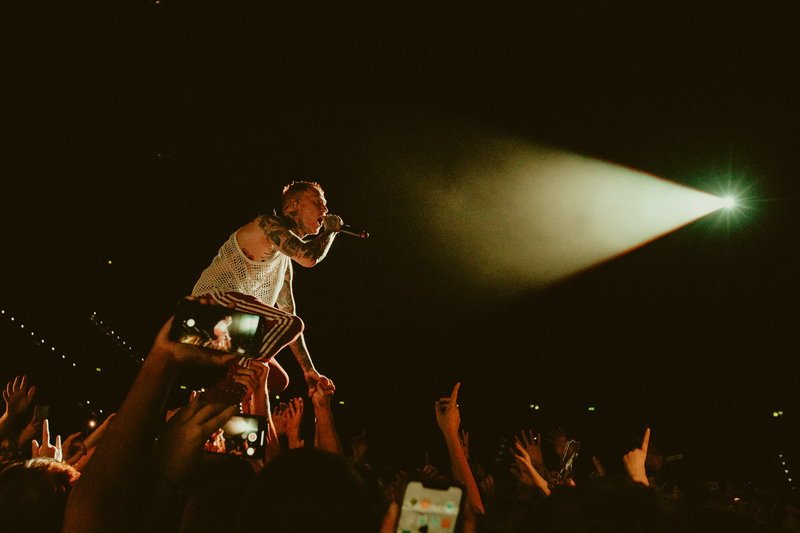 Next in the line-up was English punk rock band, Frank Carter and the Rattlesnakes. 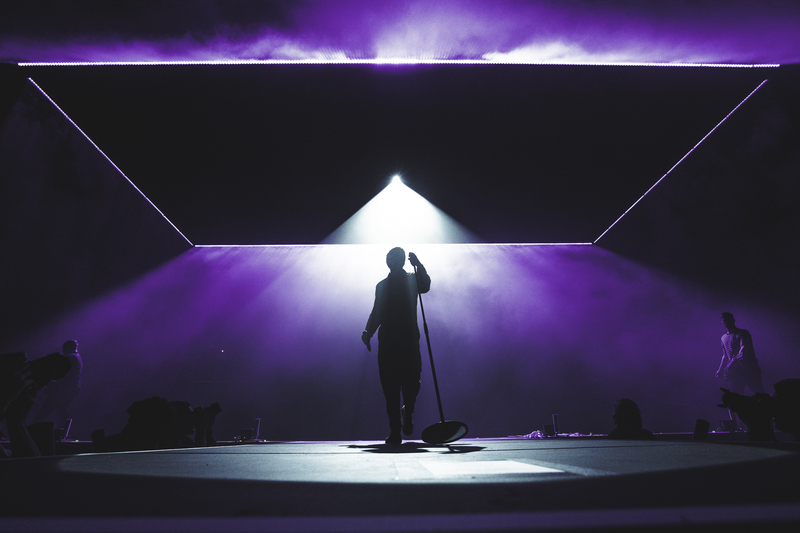 To say this act was an immersive experience for the audience would be an understatement. 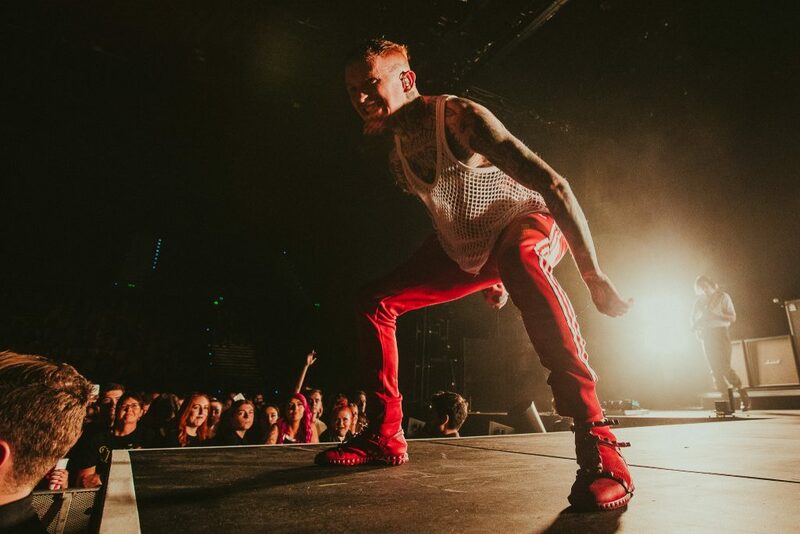 Lead singer and titular member, Frank Carter, threw himself into the thick of the mosh pit and performed in amongst the ever-eager audience. 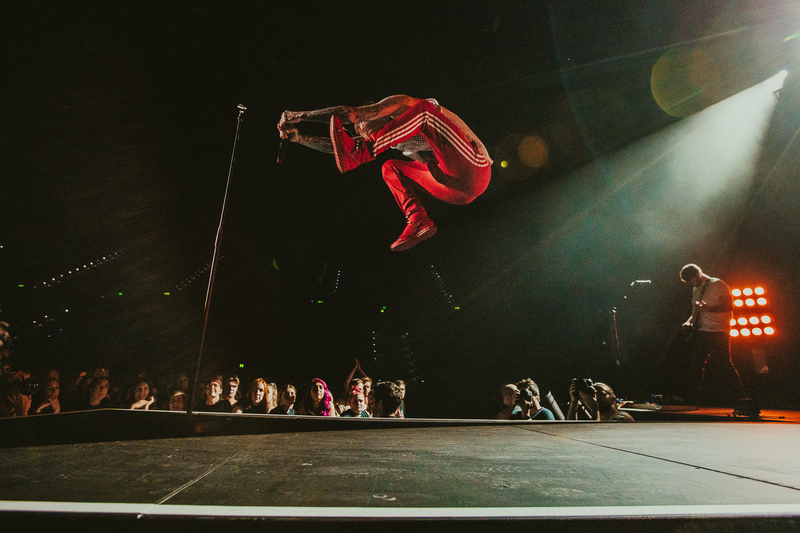 He kicked off his expedition into the throws of his fans by performing the ultimate trust exercise, a handstand in the crowd, supported by the audience. 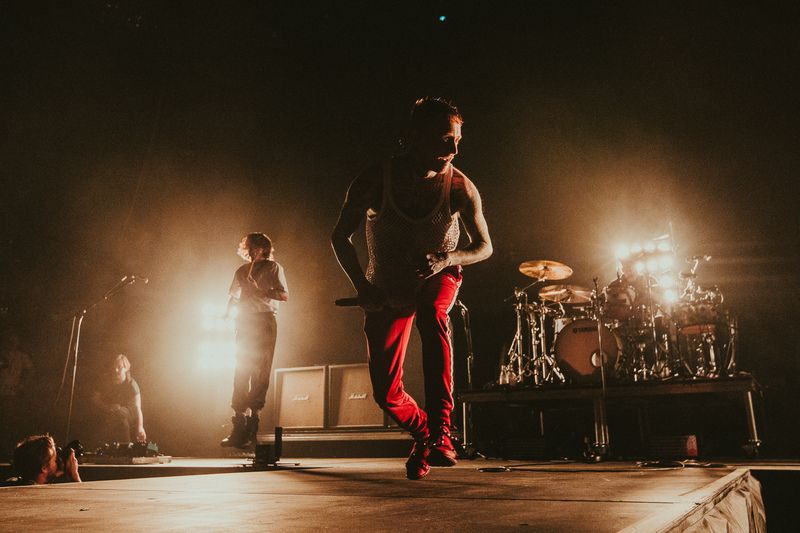 The band sampled songs from their three albums, that encapsulated both a hard-core punk rock vibe along with a more alternative rock sound. 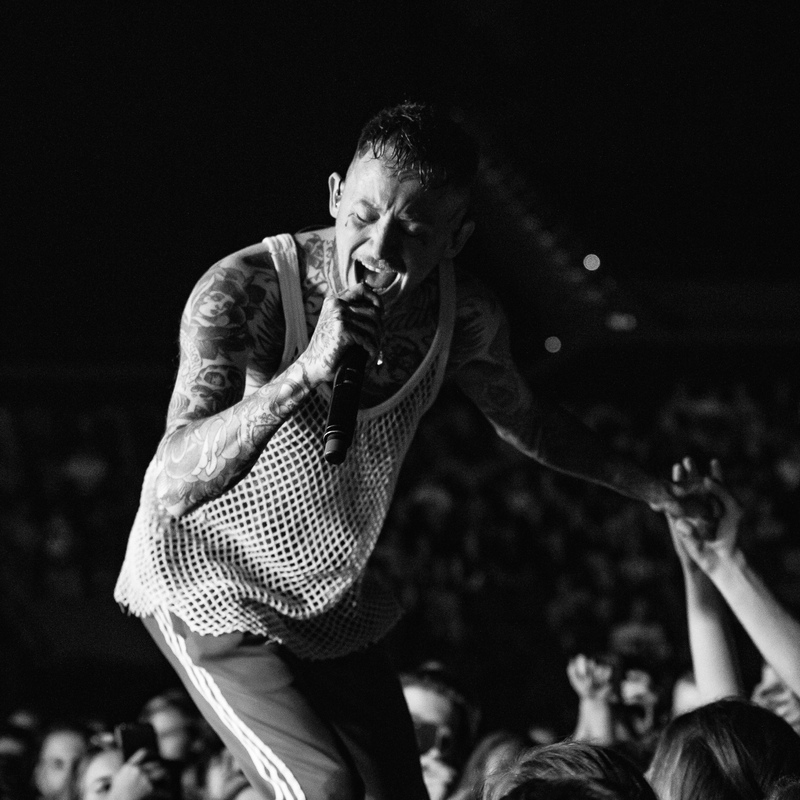 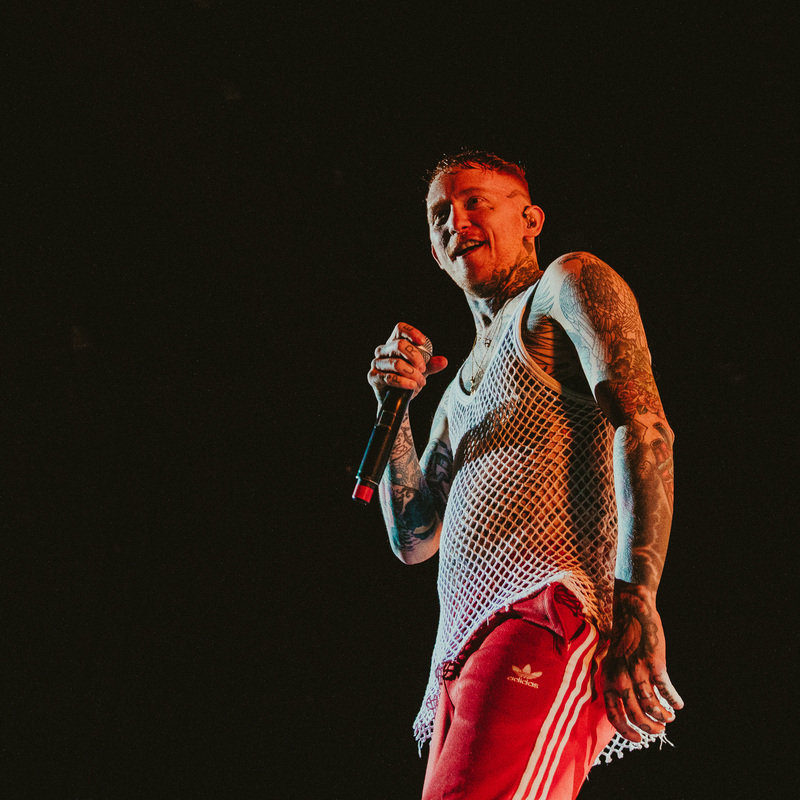 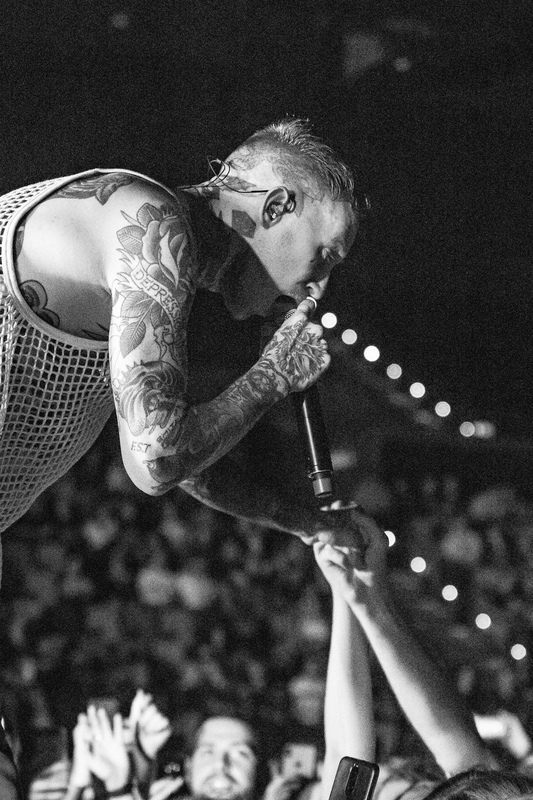 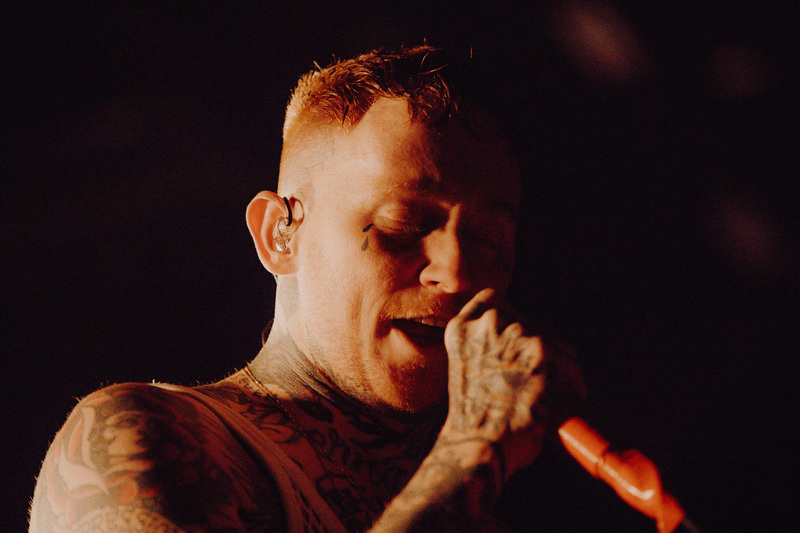 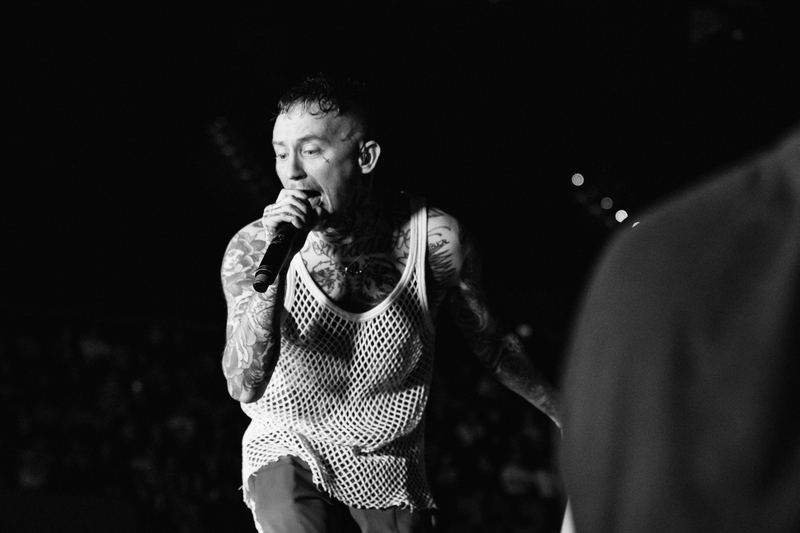 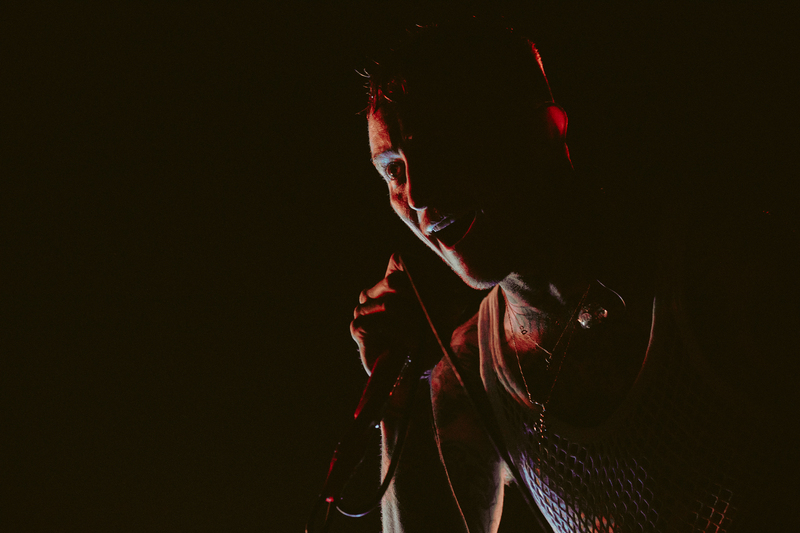 Frank Carter and the Rattlesnakes not only brought a killer set list but shared touching personal stories that further drew the audience into their grasp. 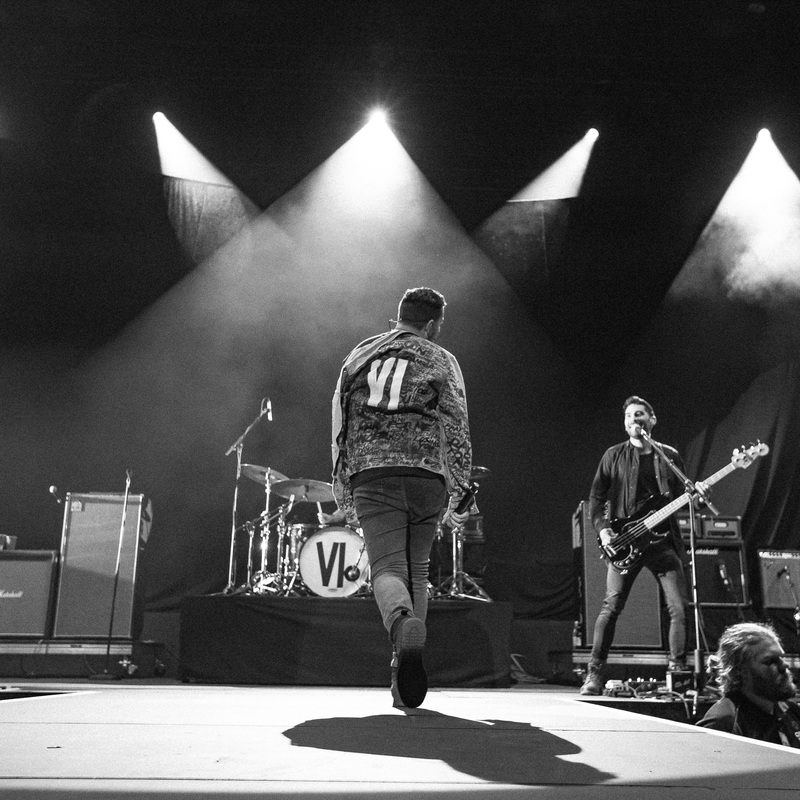 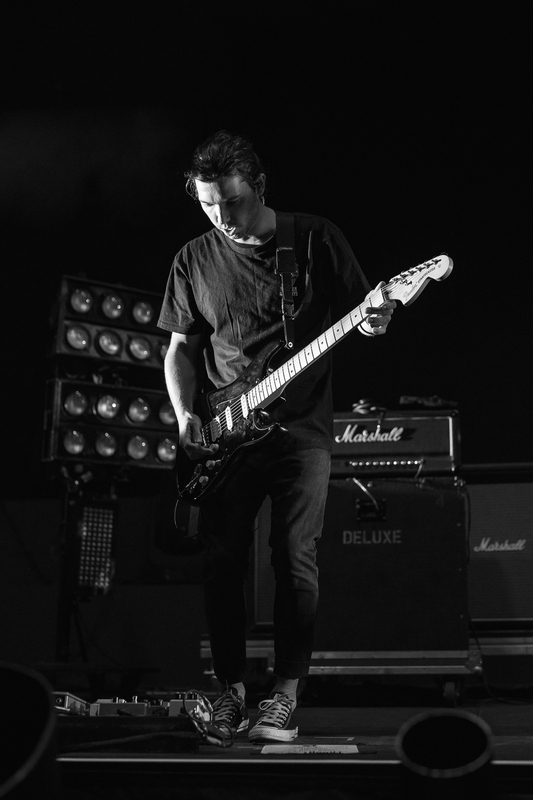 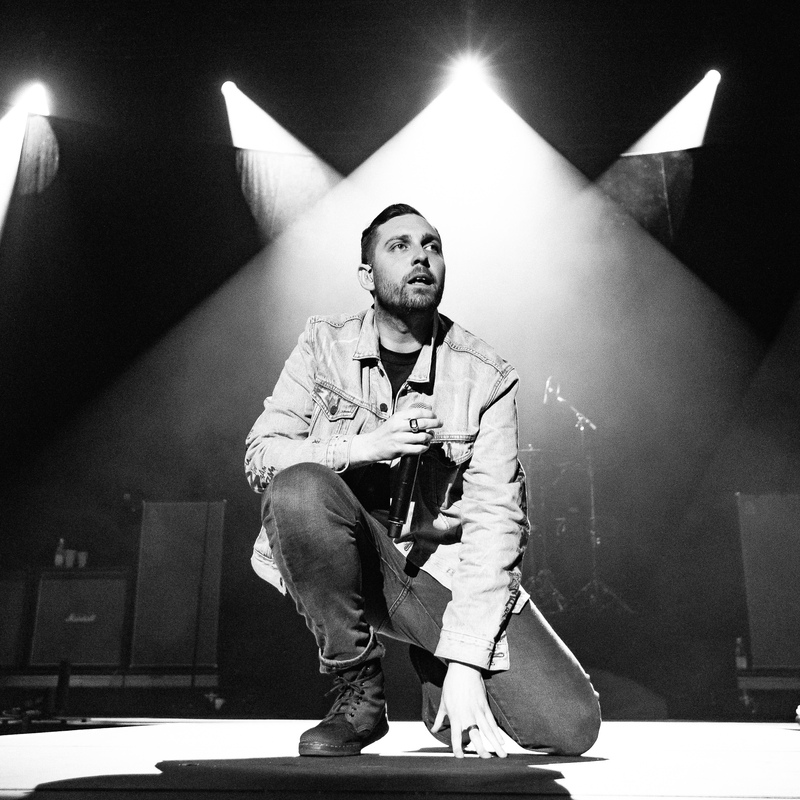 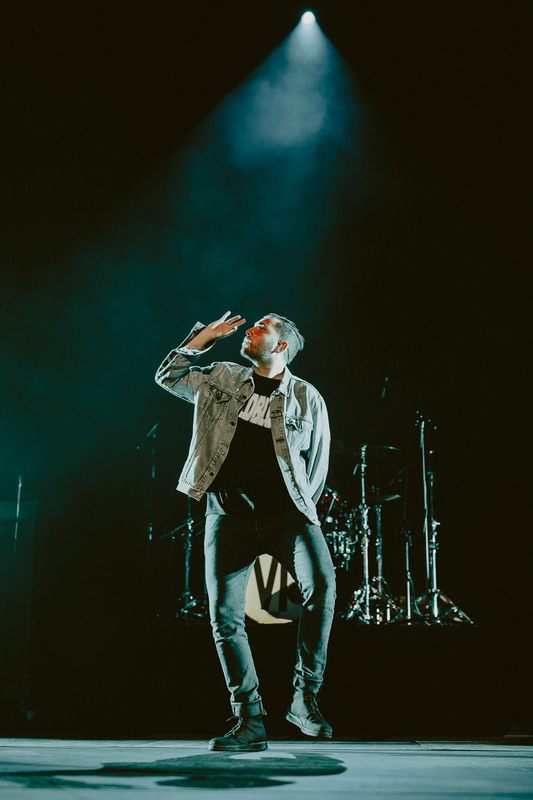 The penultimate act of the night, You Me at Six, sat at a difficult position in the line-up. 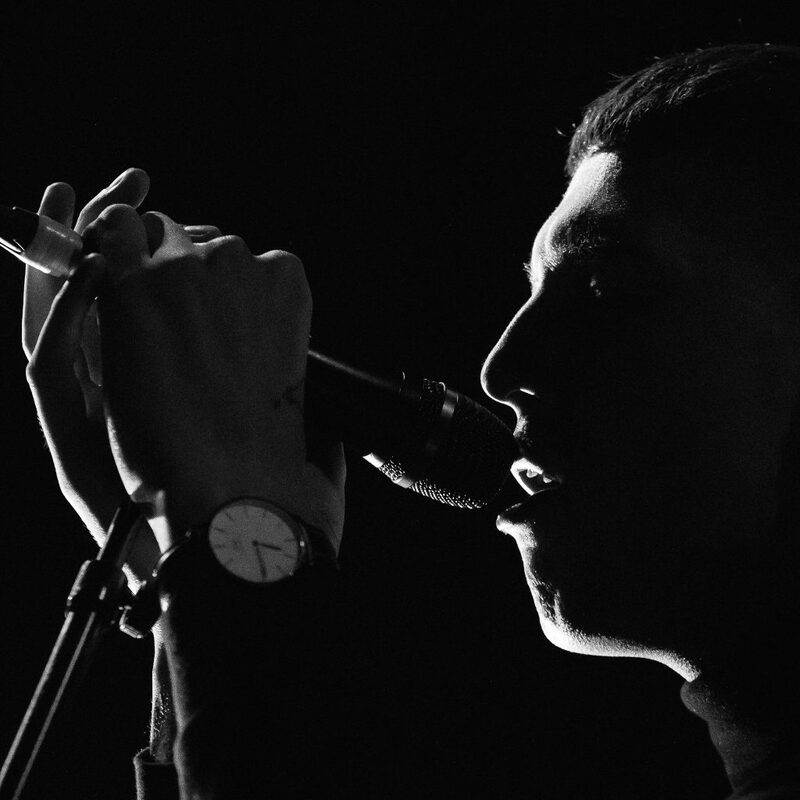 However, this Surrey five-piece did not disappoint. 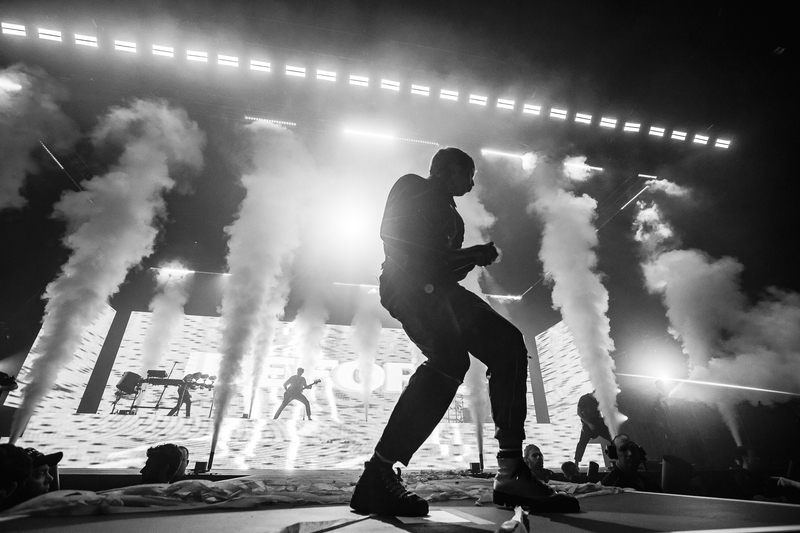 They impressively managed to strike the perfect balance between standing out as their own act and flawlessly set up the crowd for the main performance. 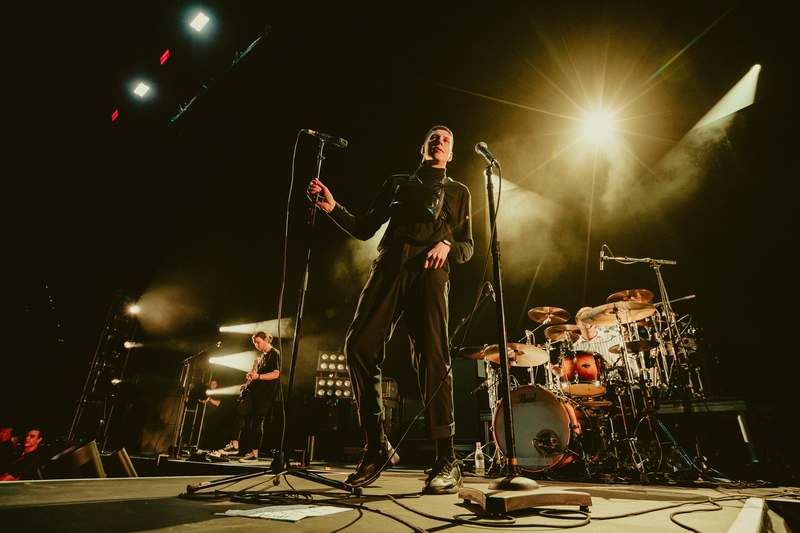 The rock group played a half hour set featuring songs from their latest album, VI, that showcased their latest flirtation with an electronic influence on their rock music base. 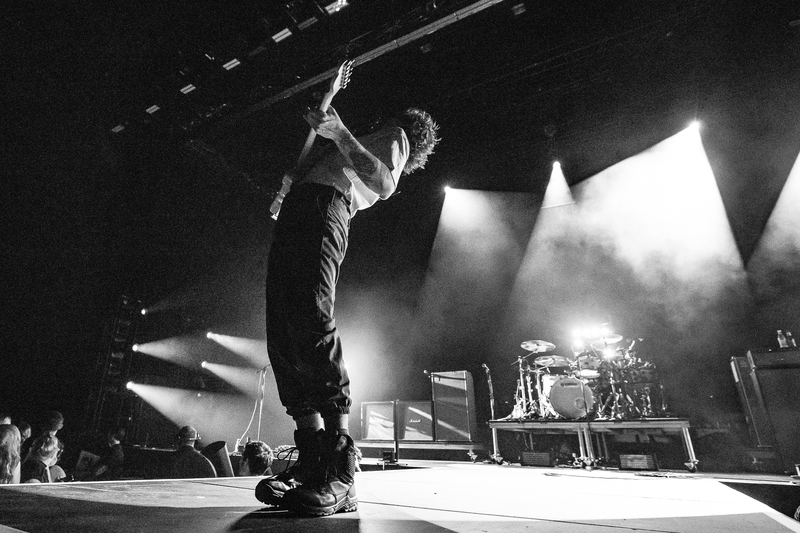 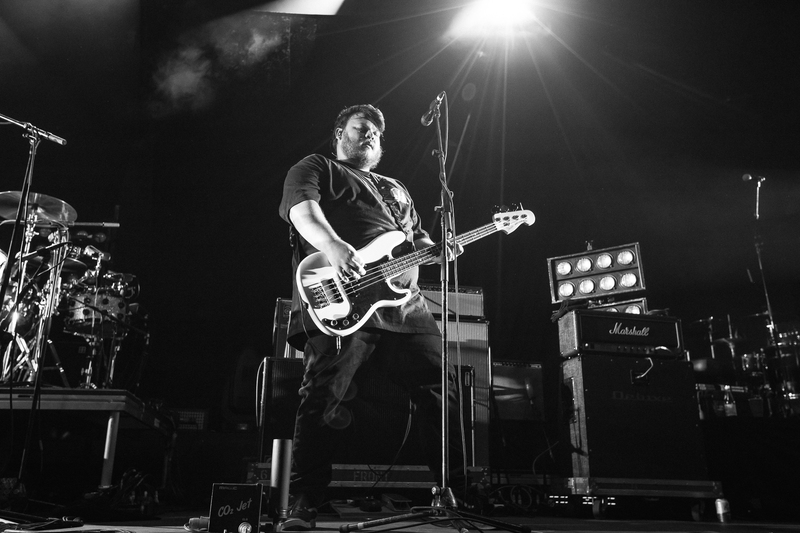 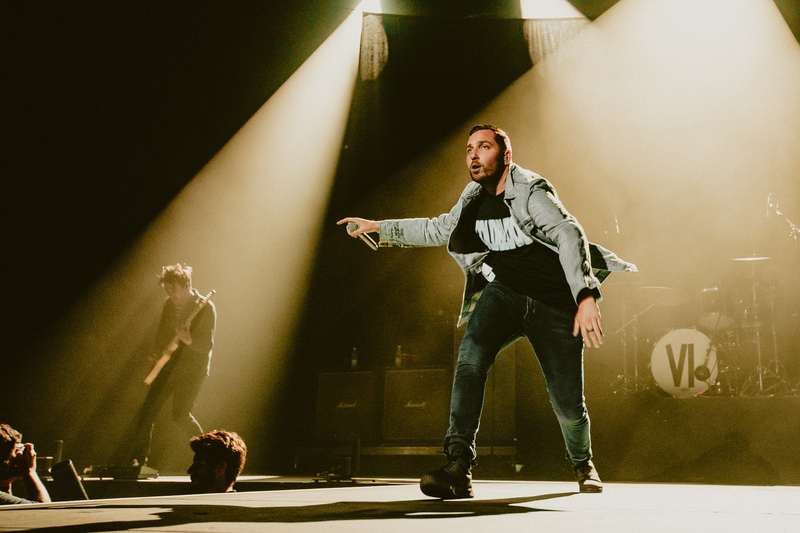 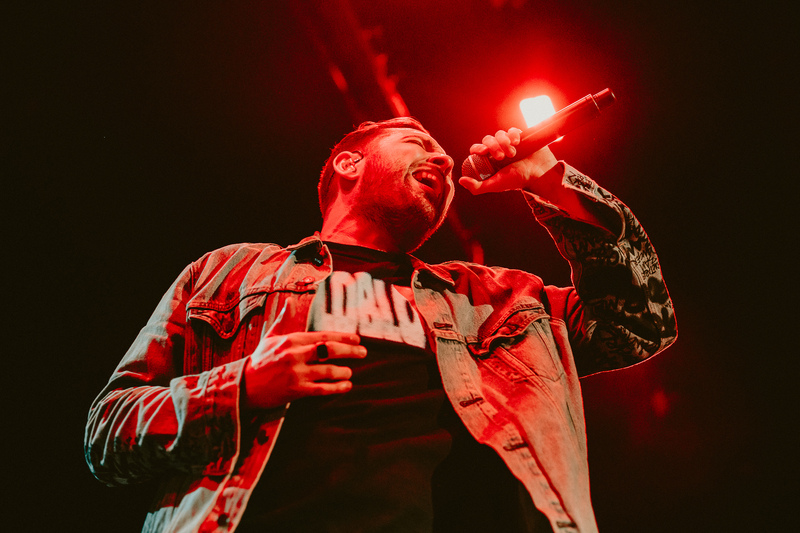 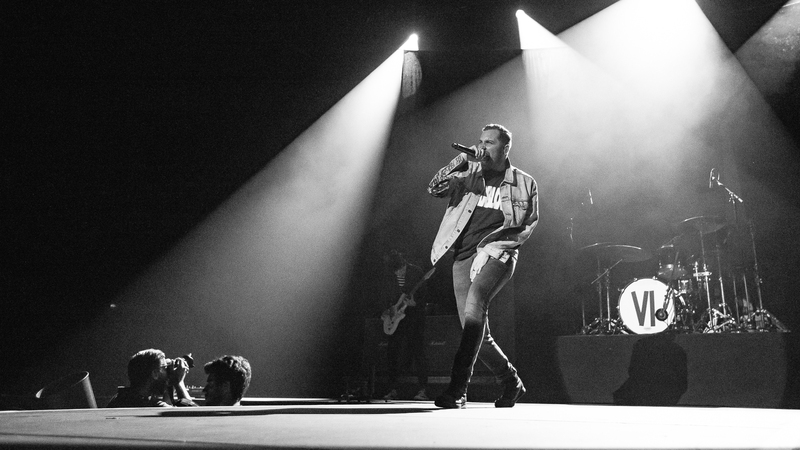 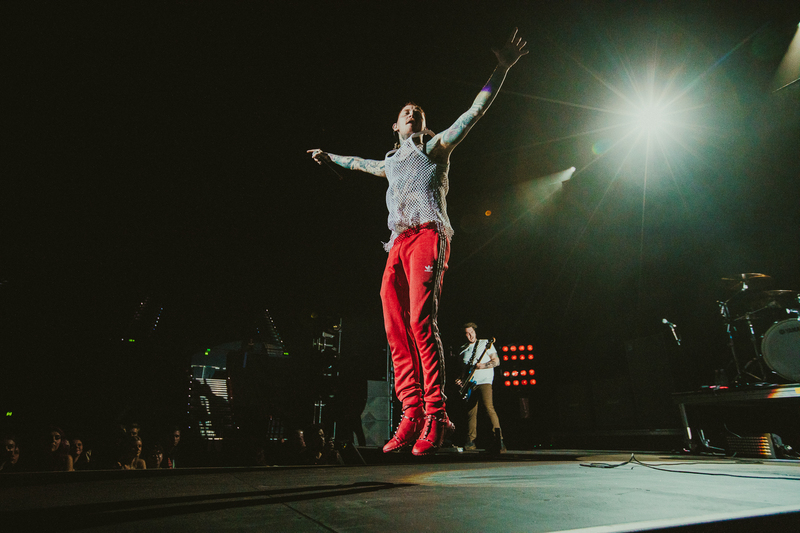 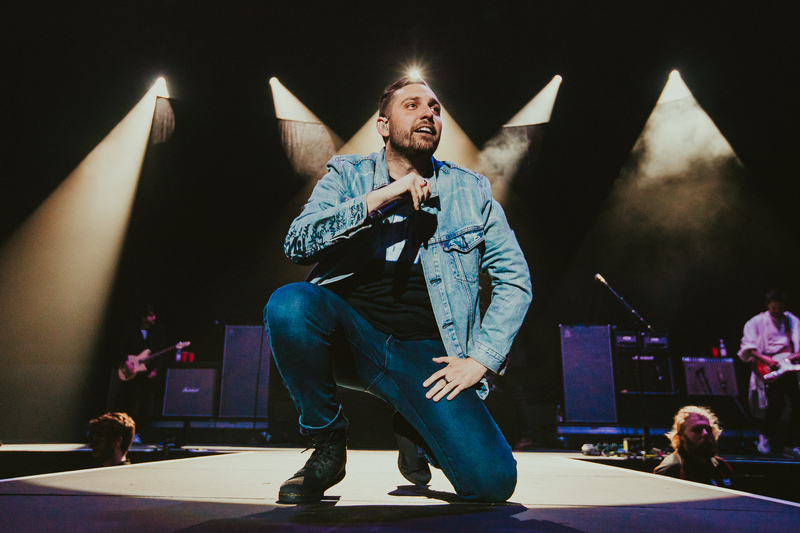 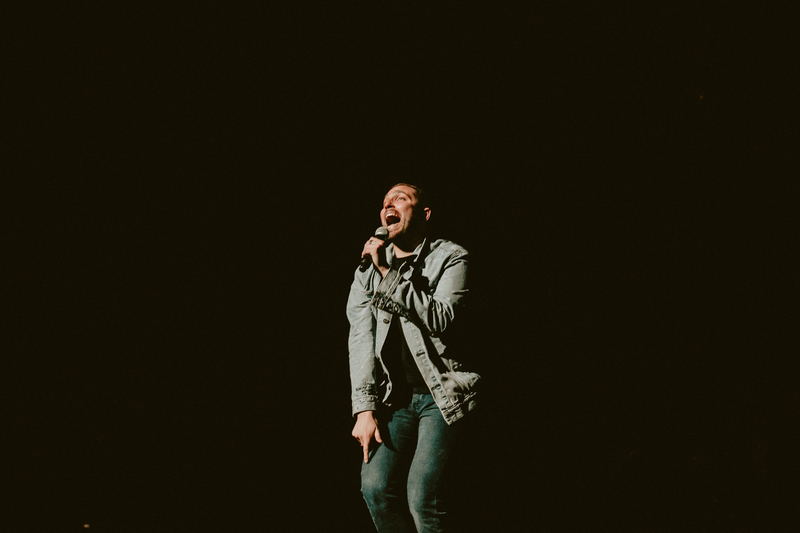 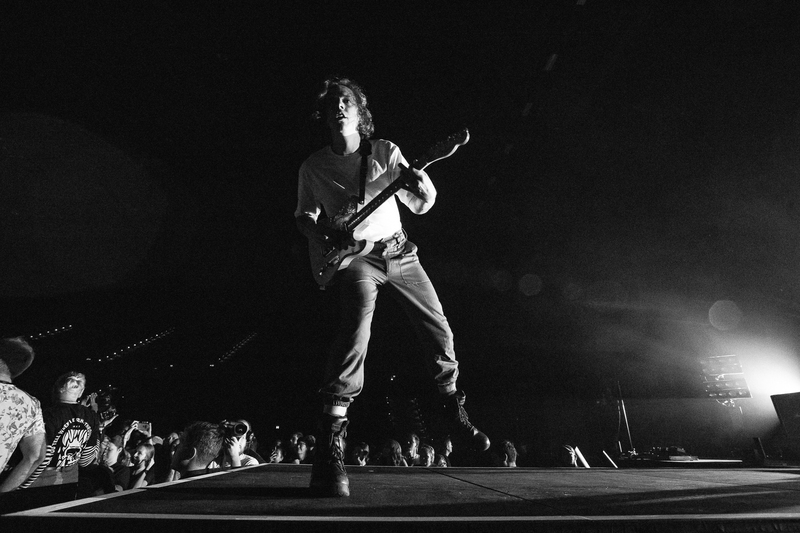 Vocalist Josh Francheschi’s contagious energy rippled through the audience as anticipation ran high as they awaited the final act of the night. 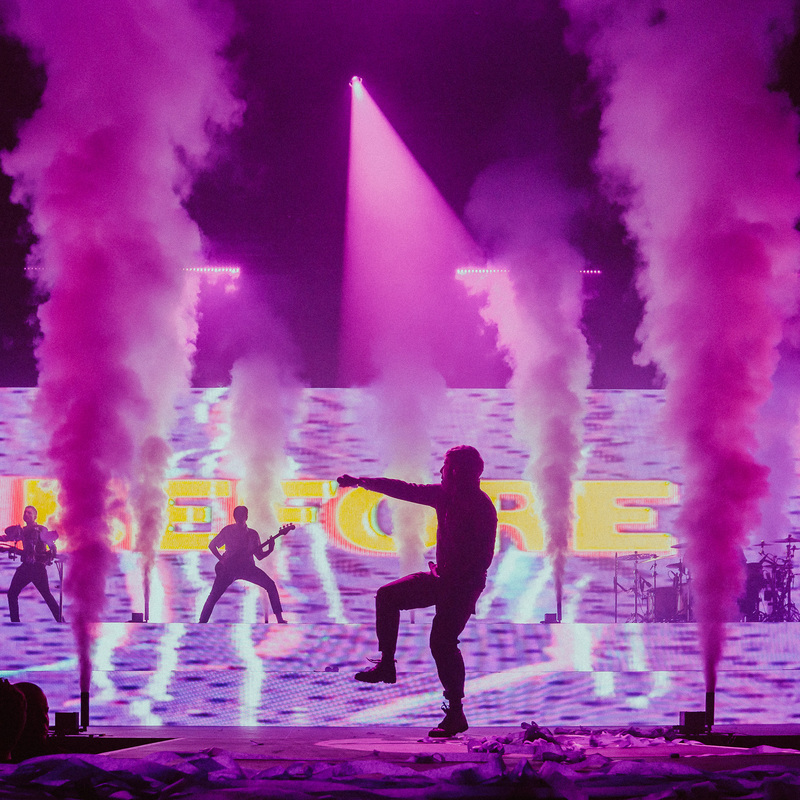 After three incredible supporting acts, the final act of the night, Bring Me the Horizon, began with an impressive bang. 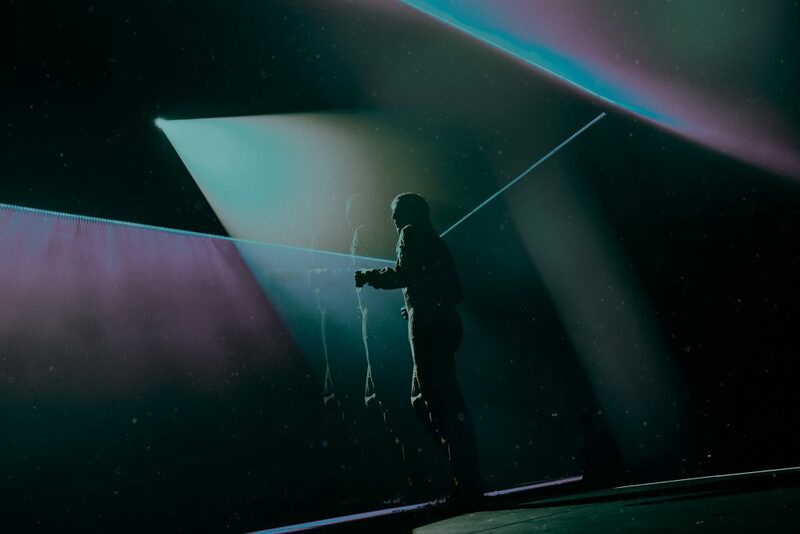 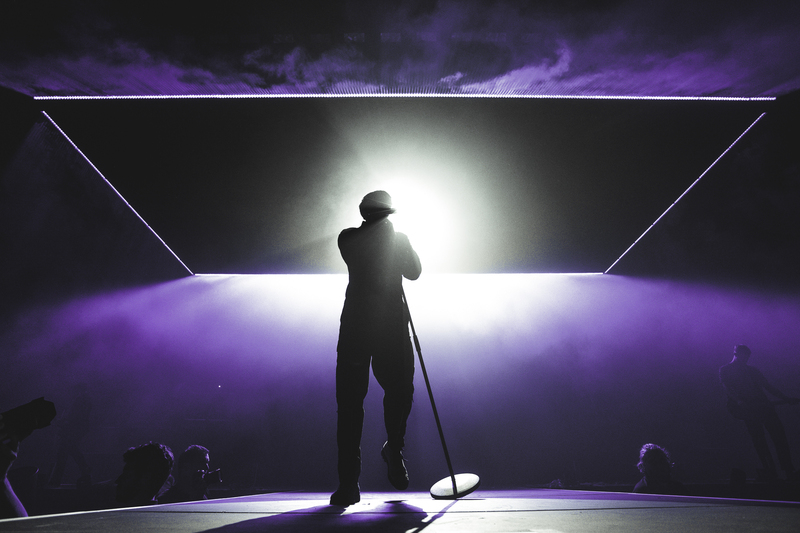 The stage itself was a work of art, with an LED screen stretching across the expanse of the set that operated in perfect disarray with the five-piece’s provocative music. 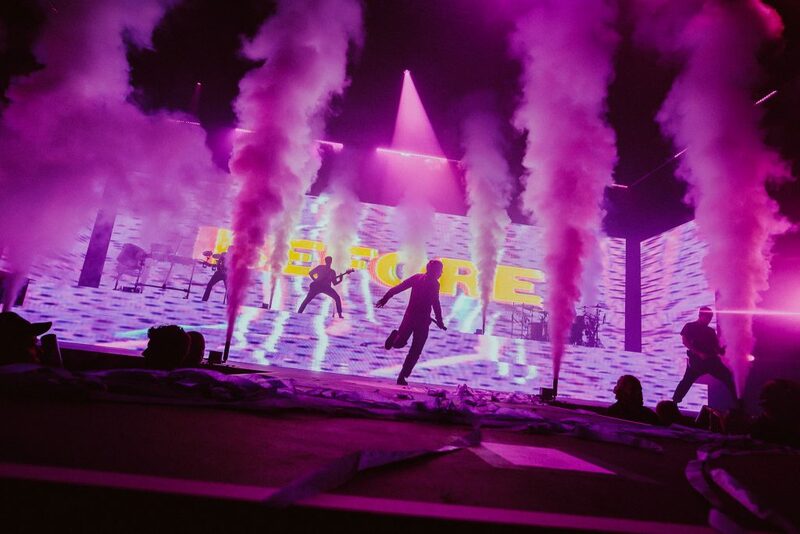 Smoke machines lined the front of the stage, deploying at high points in the music as a tilting light structure played and moved in perfect coordination with the British band’s set list. 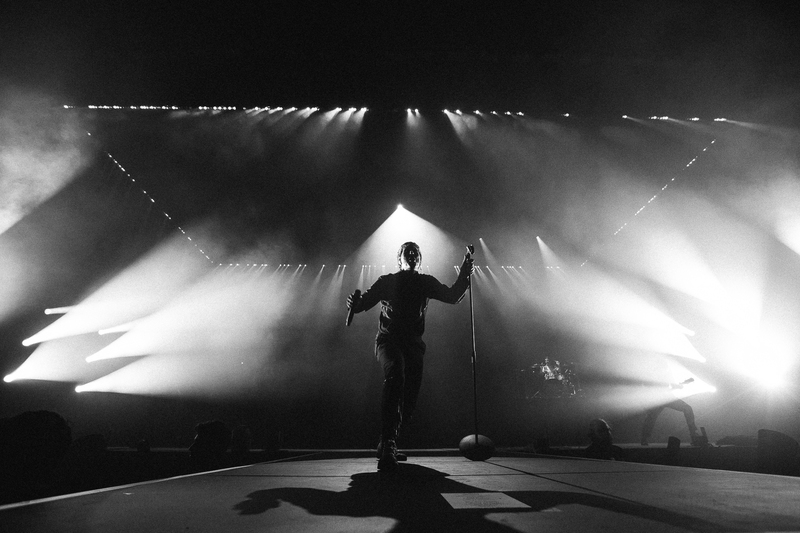 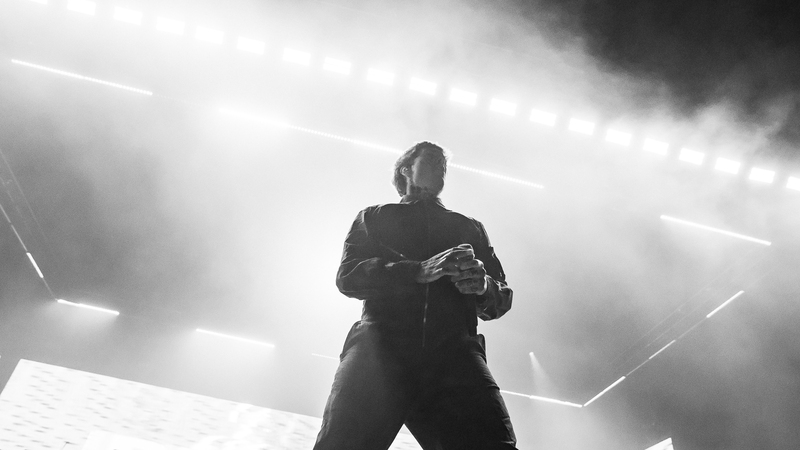 An air of solidarity was palpable throughout each song as if there was a collective catharsis amongst the audience through BMTH’s personal, yet relatable anthems. 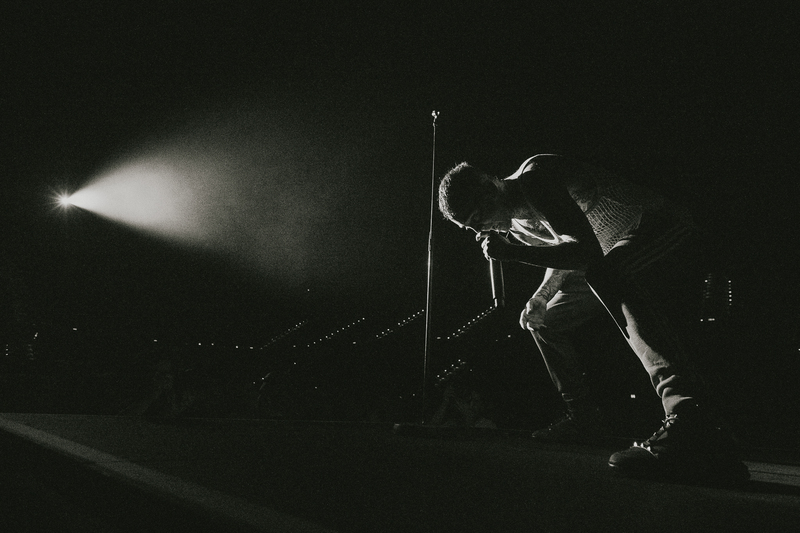 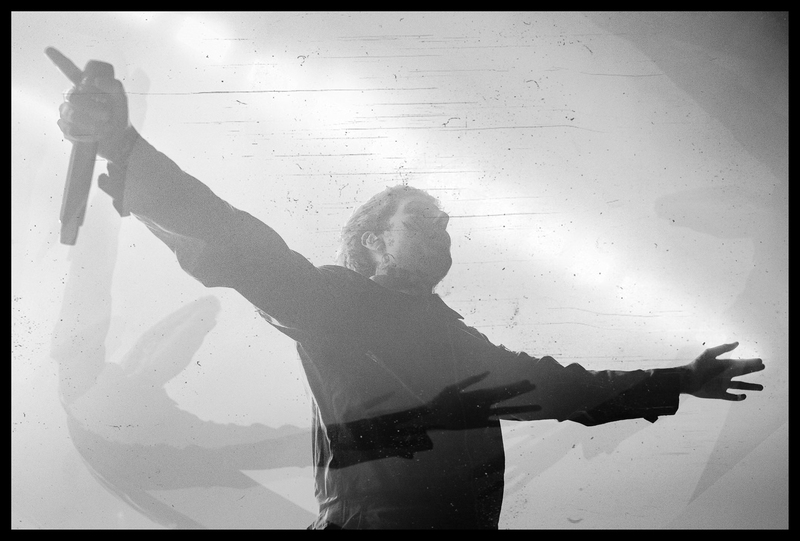 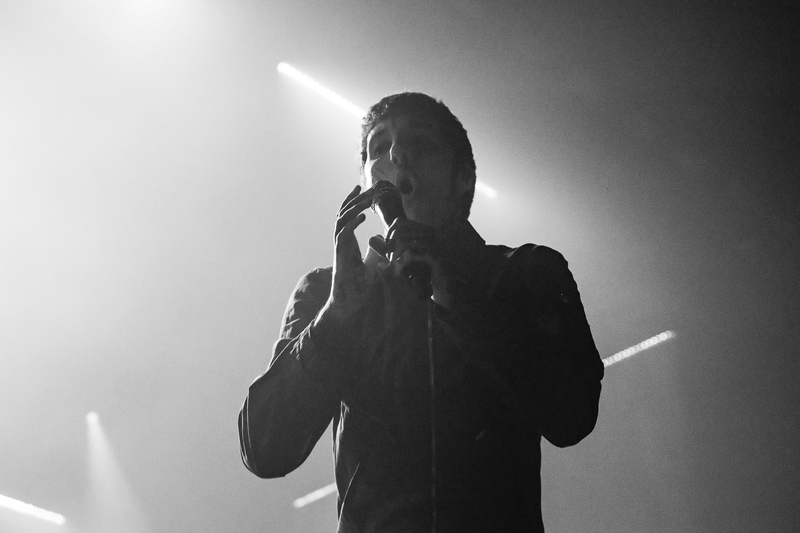 The circling crowd devoured every syllable from the lead singer, Oliver Skyes’, mouth. 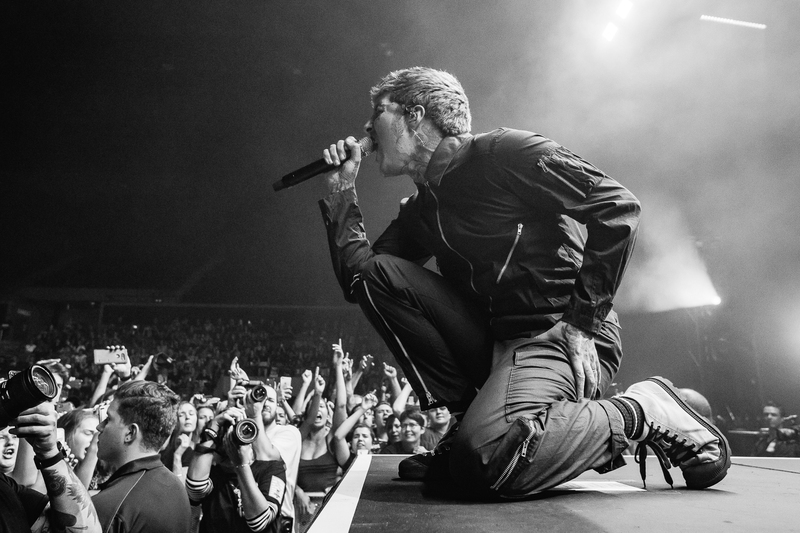 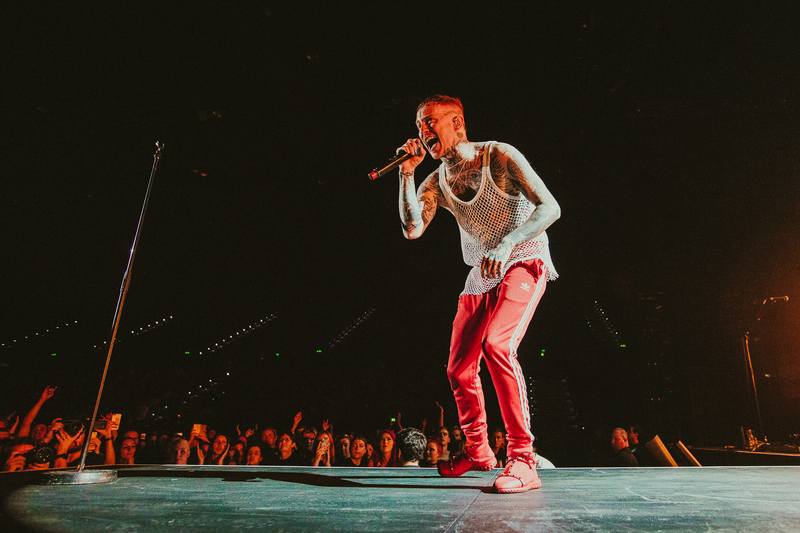 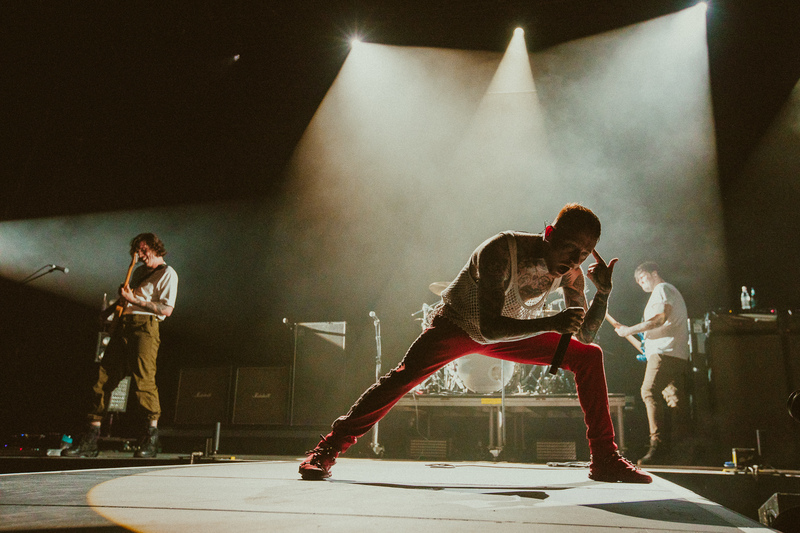 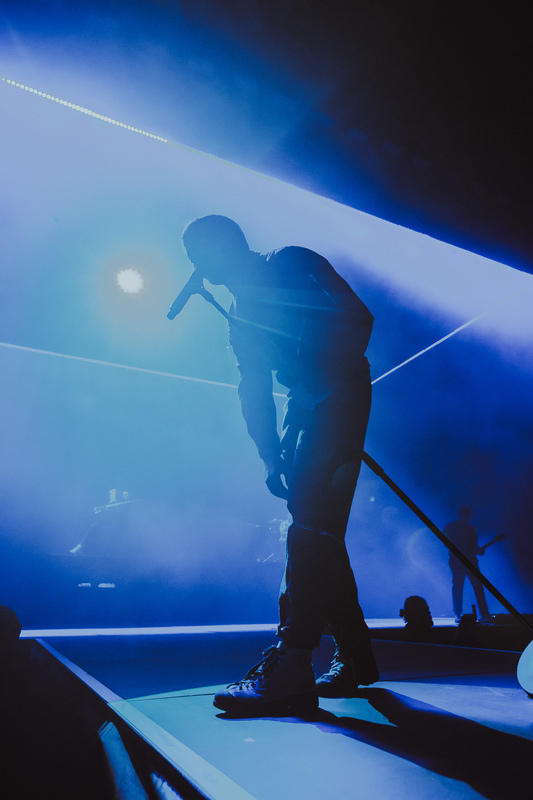 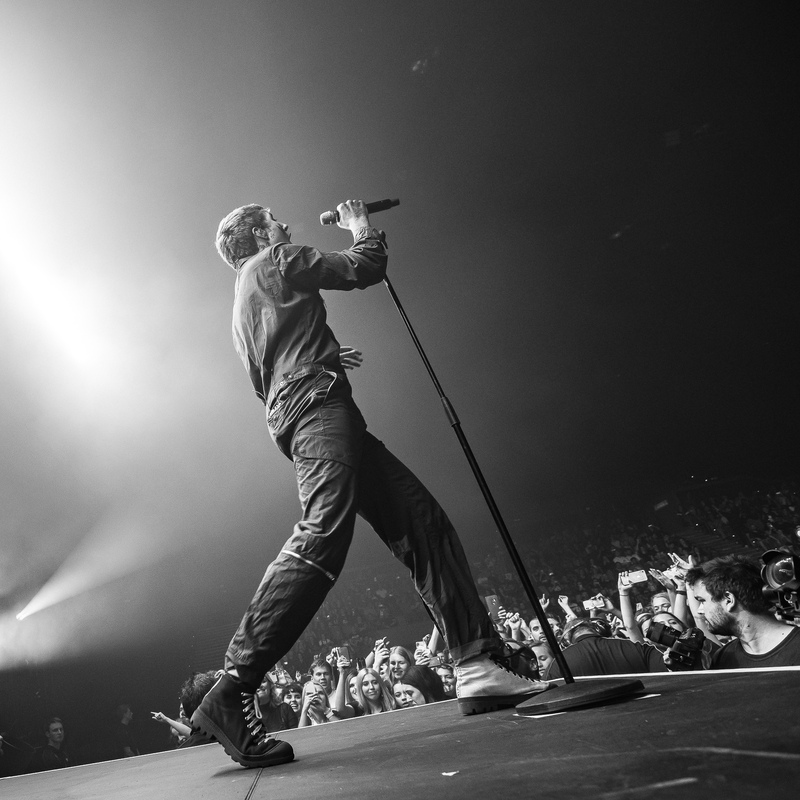 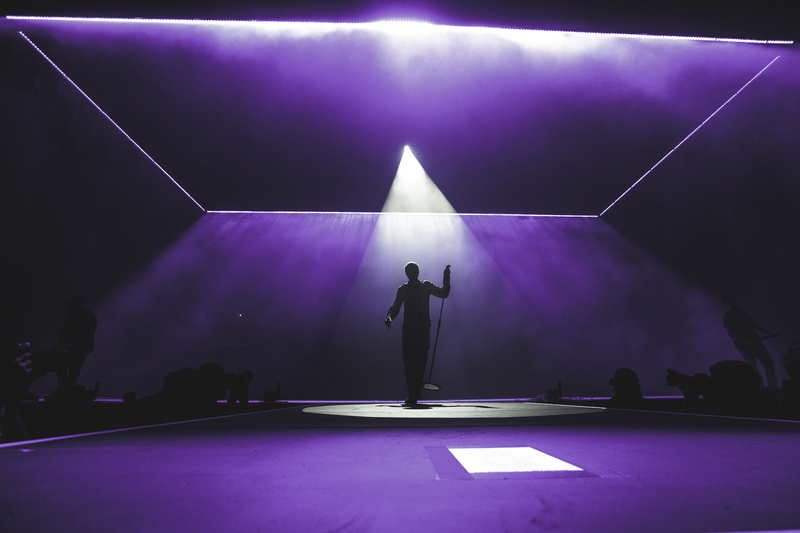 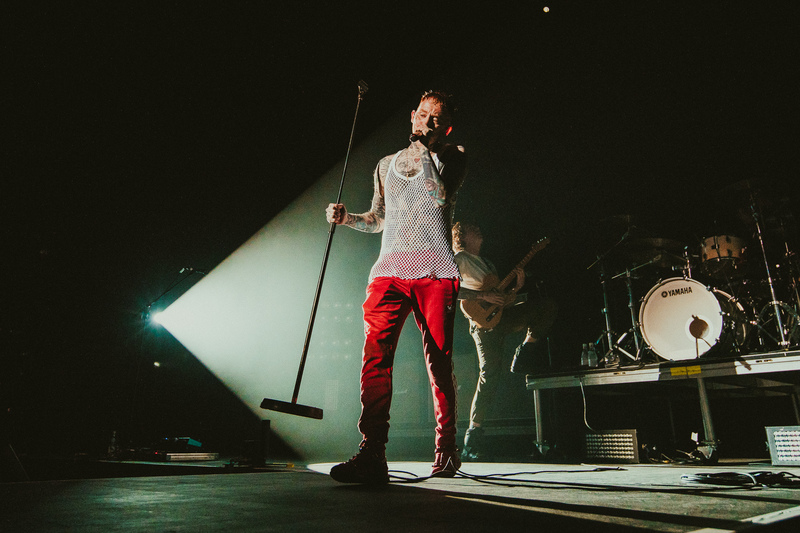 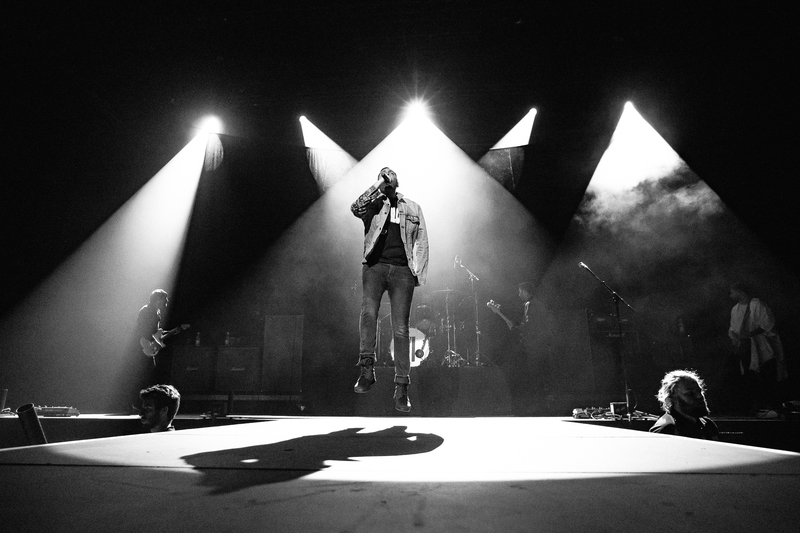 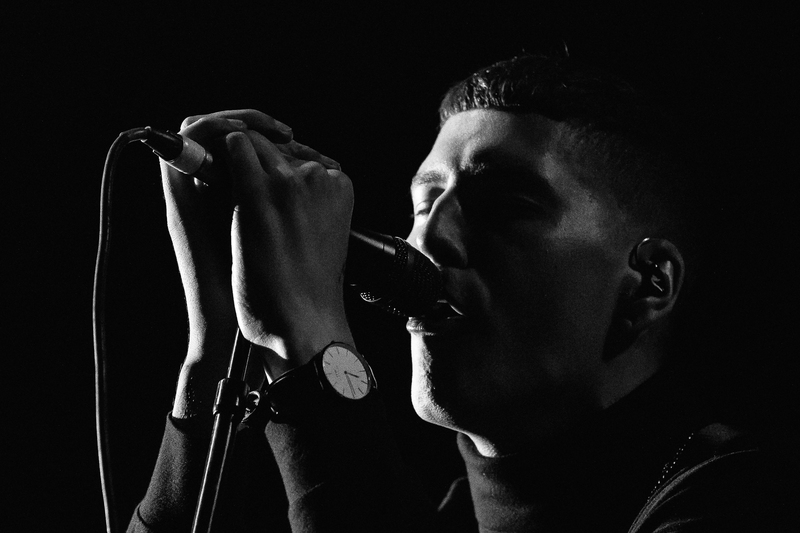 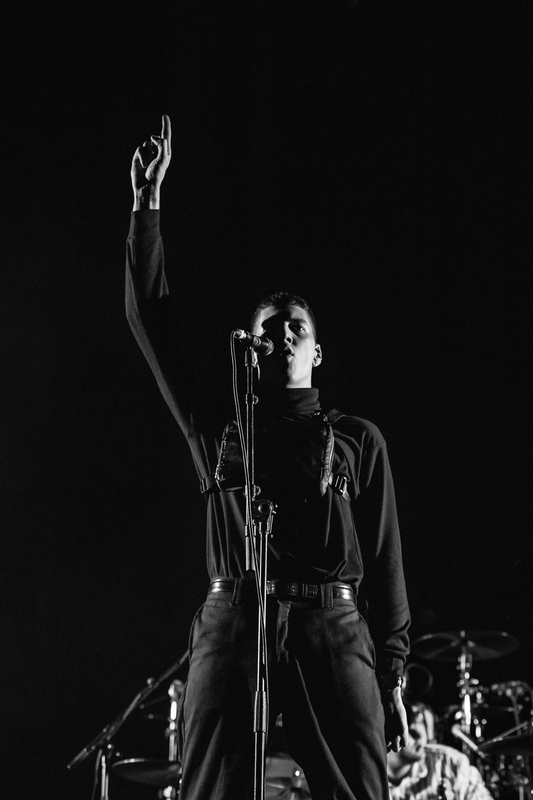 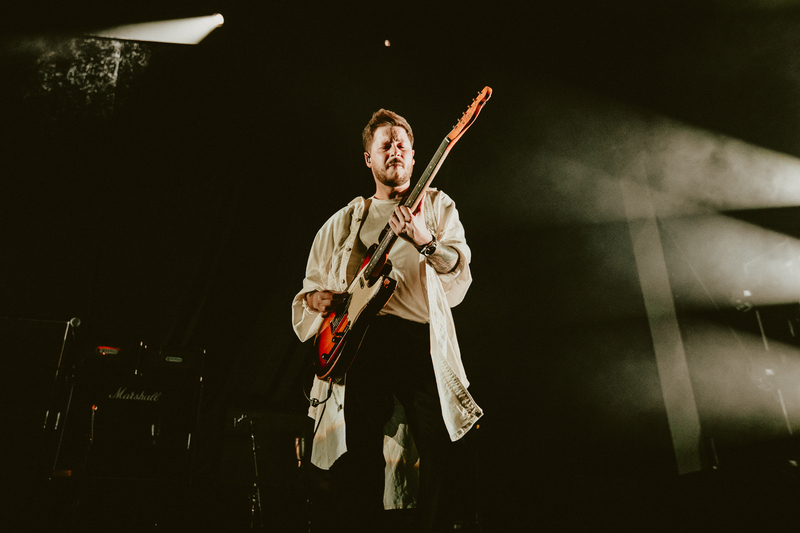 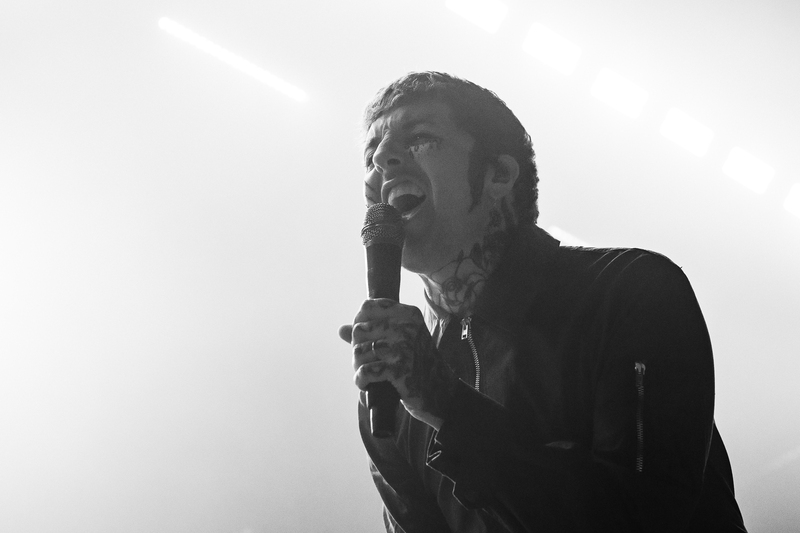 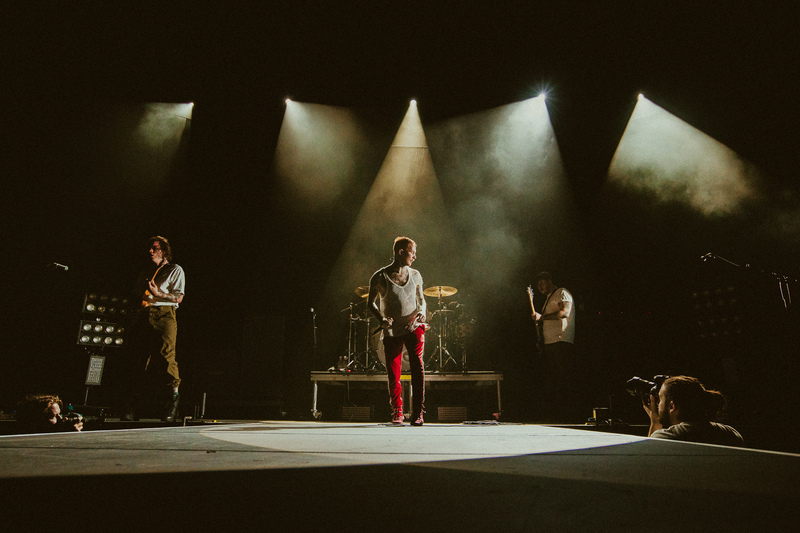 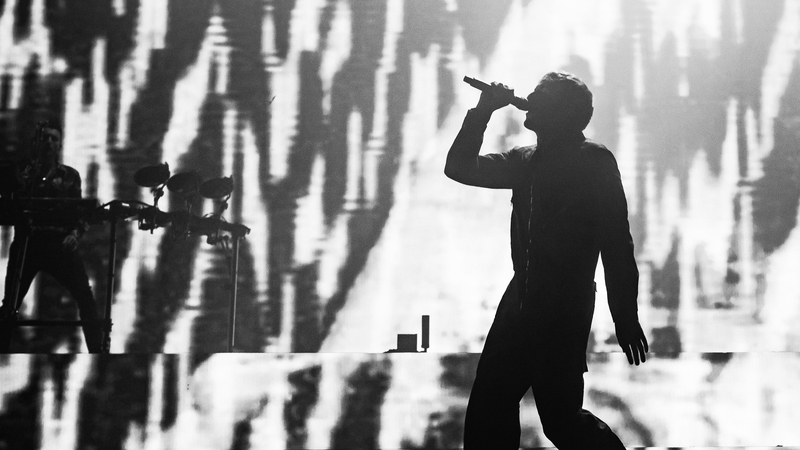 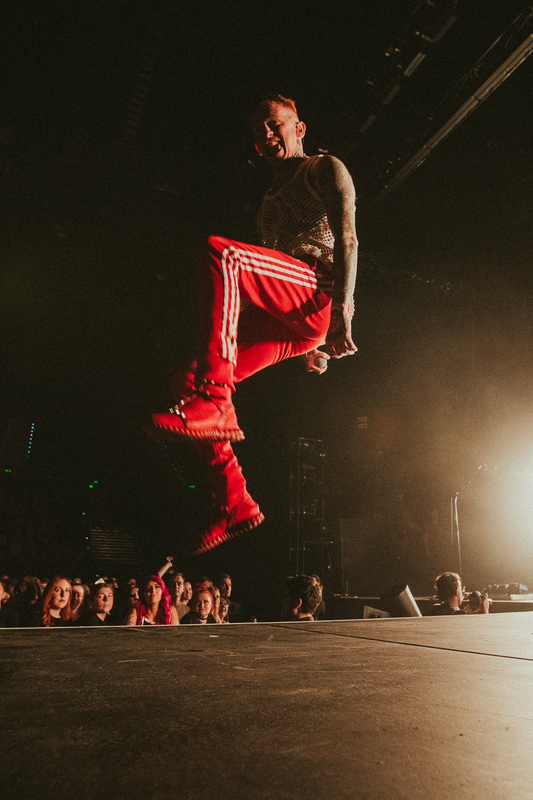 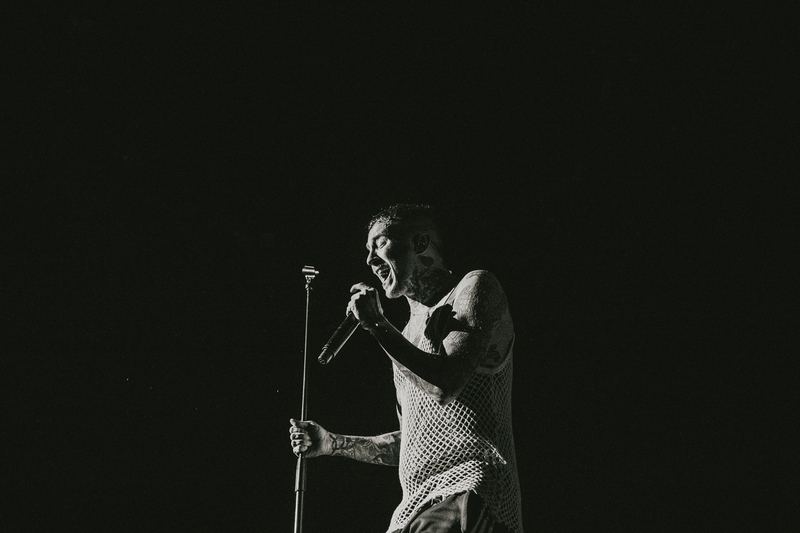 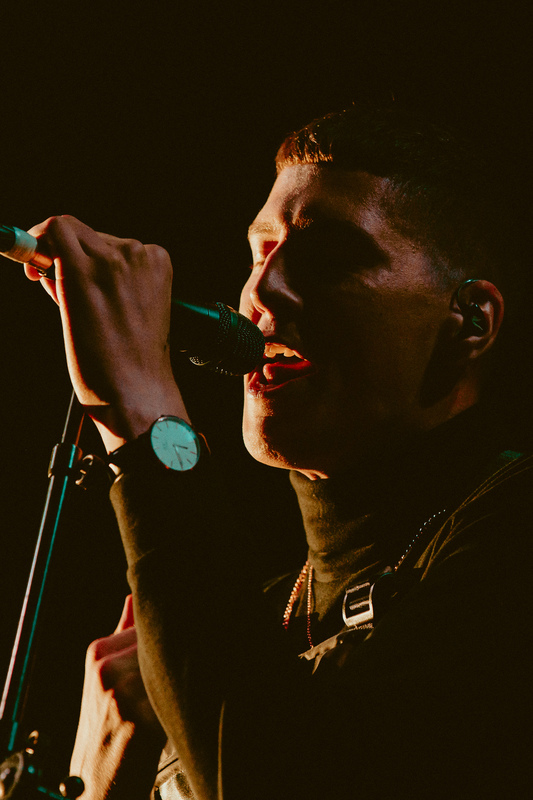 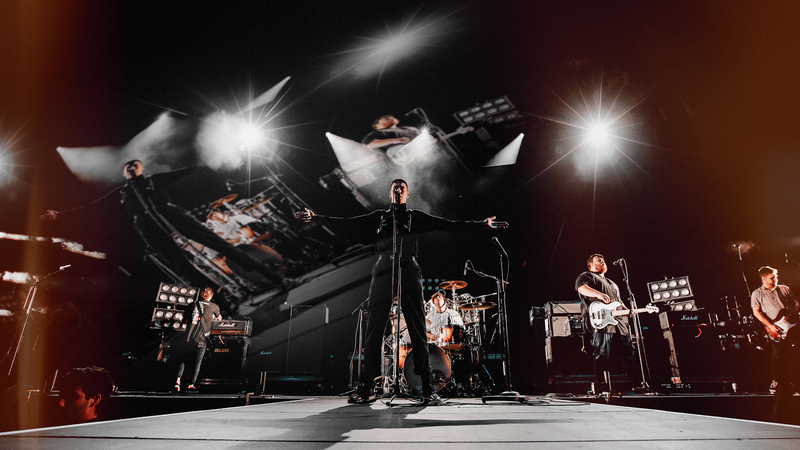 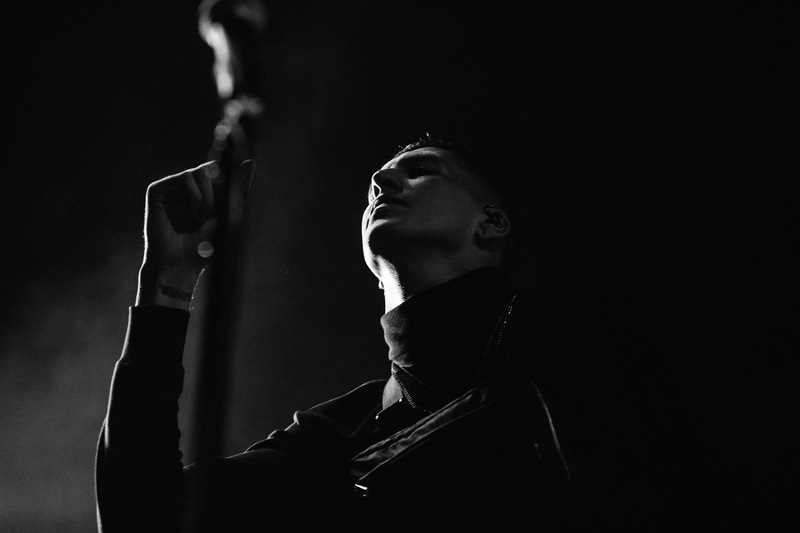 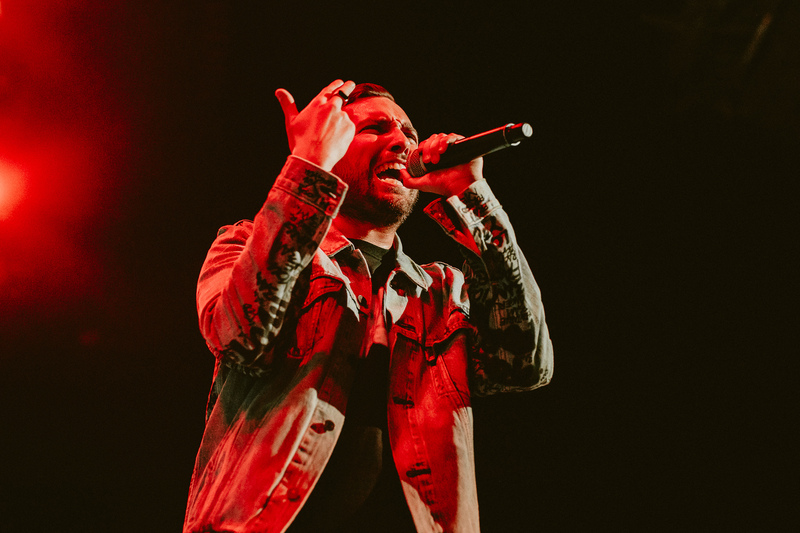 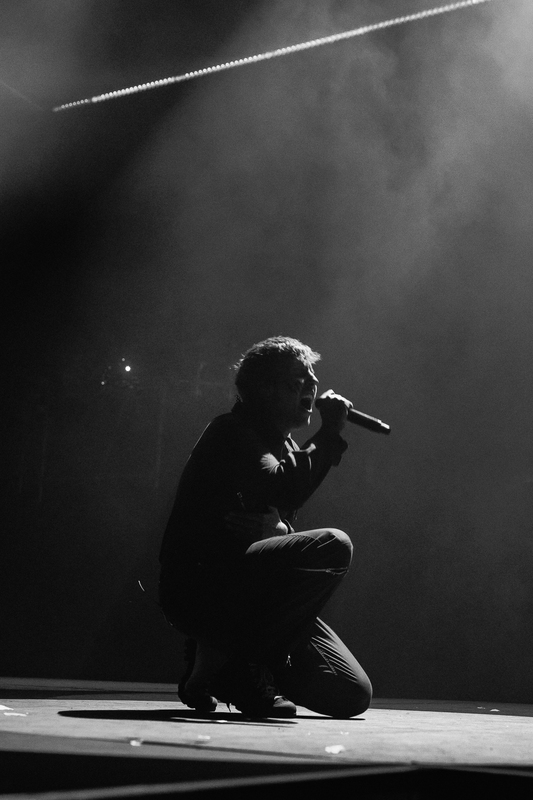 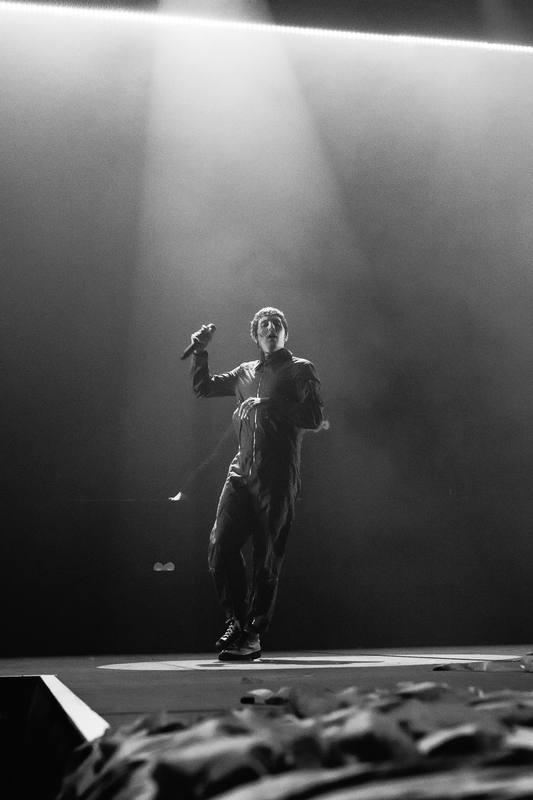 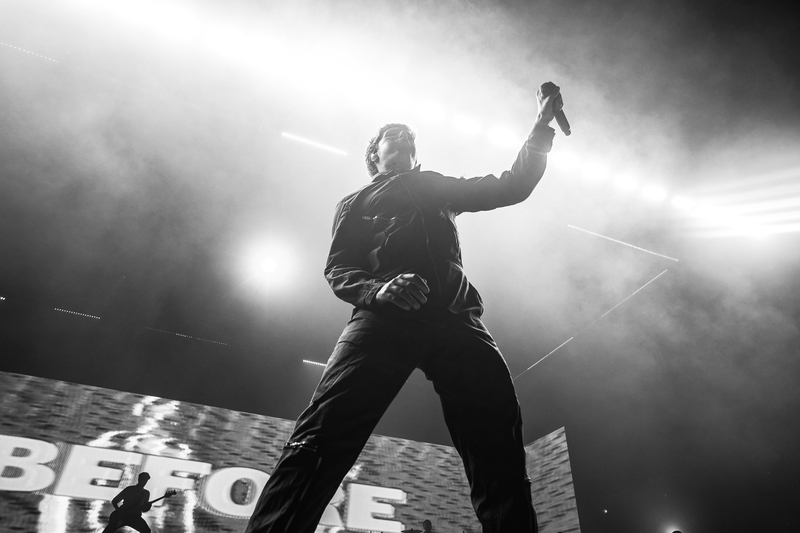 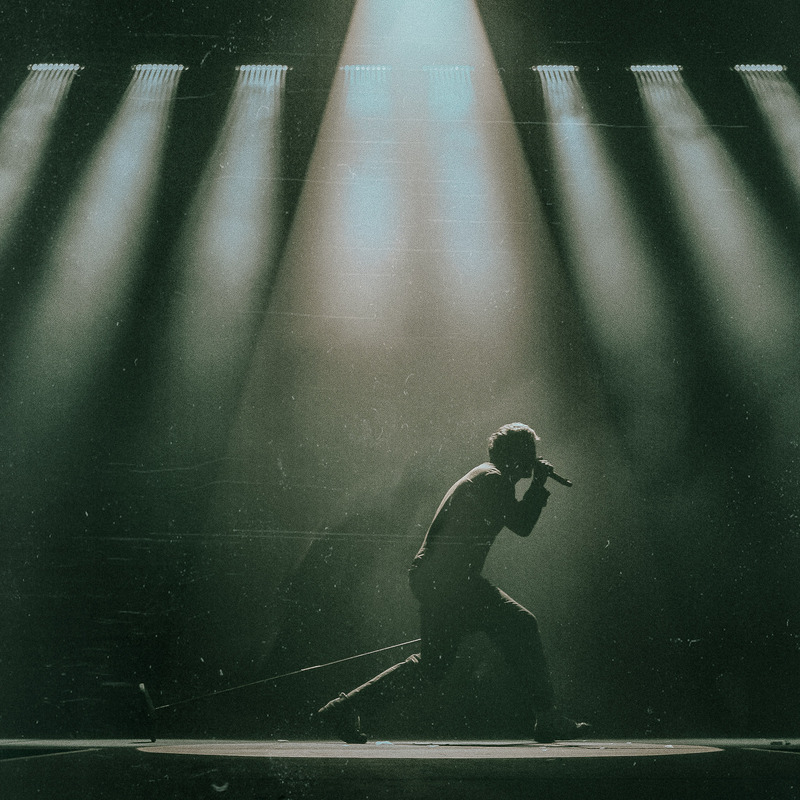 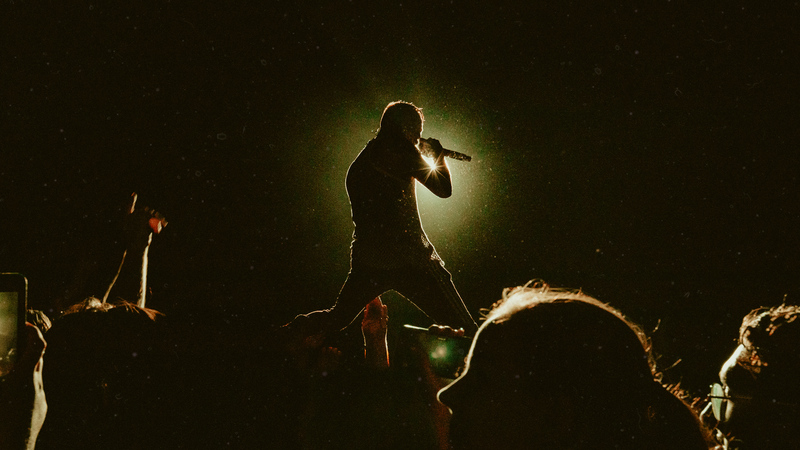 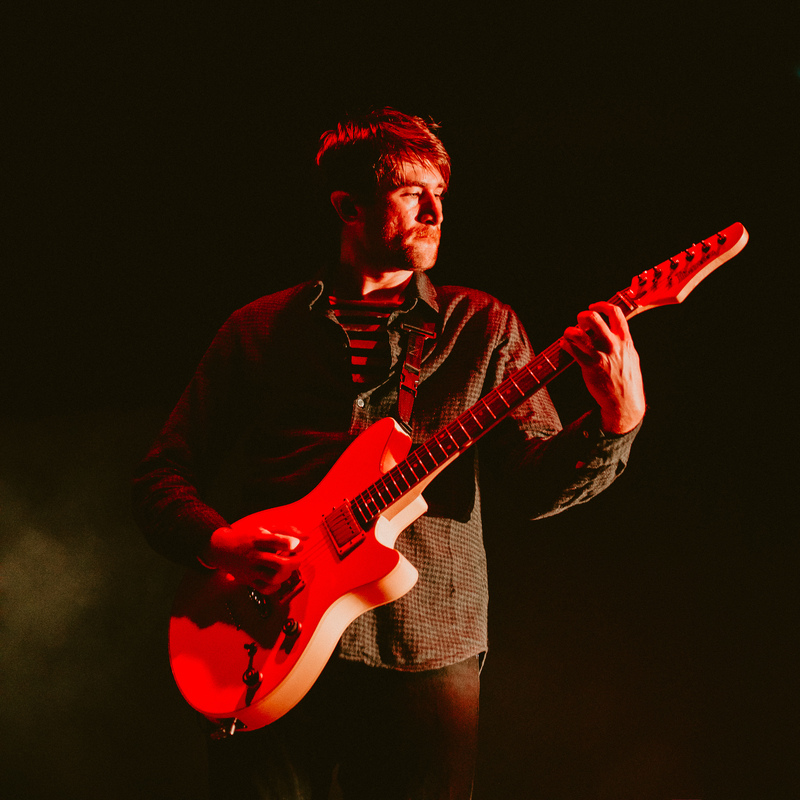 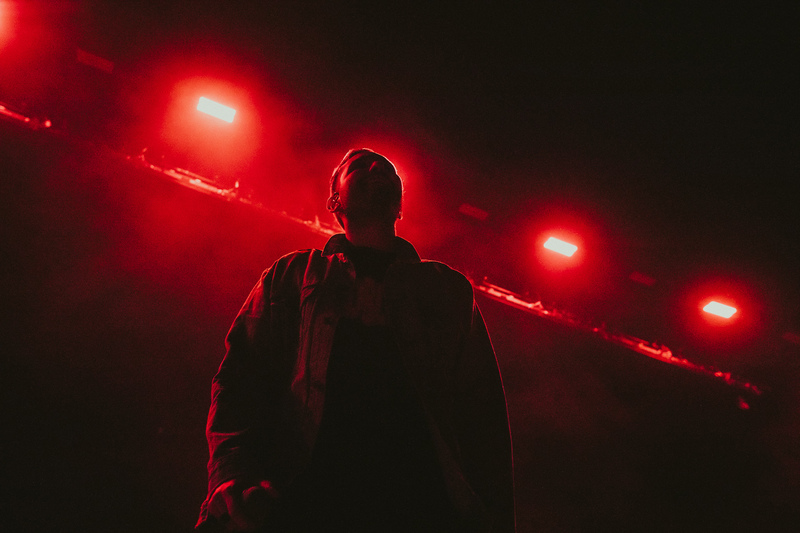 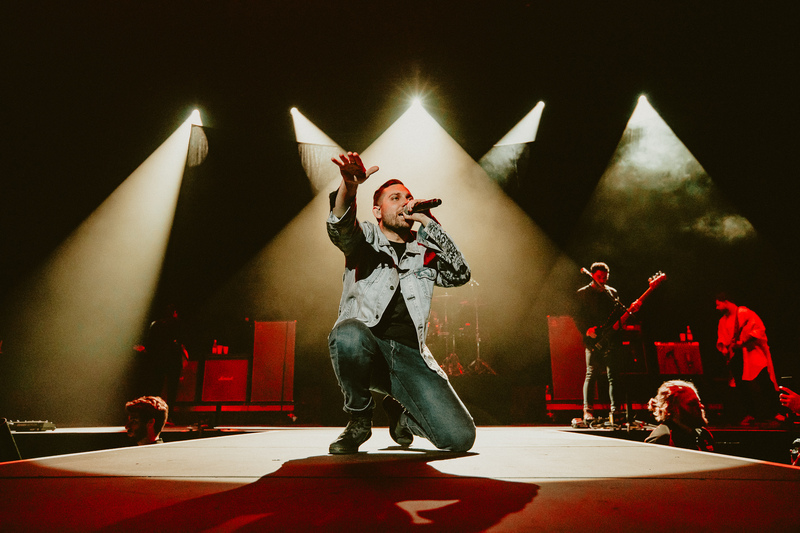 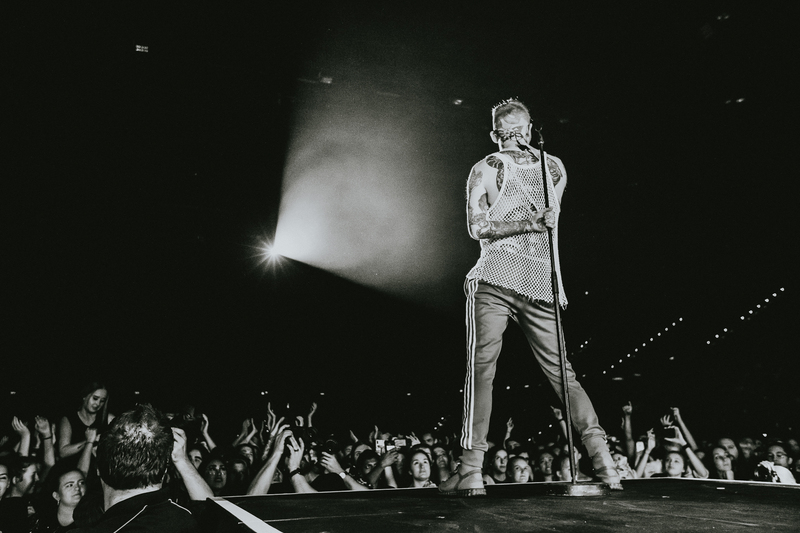 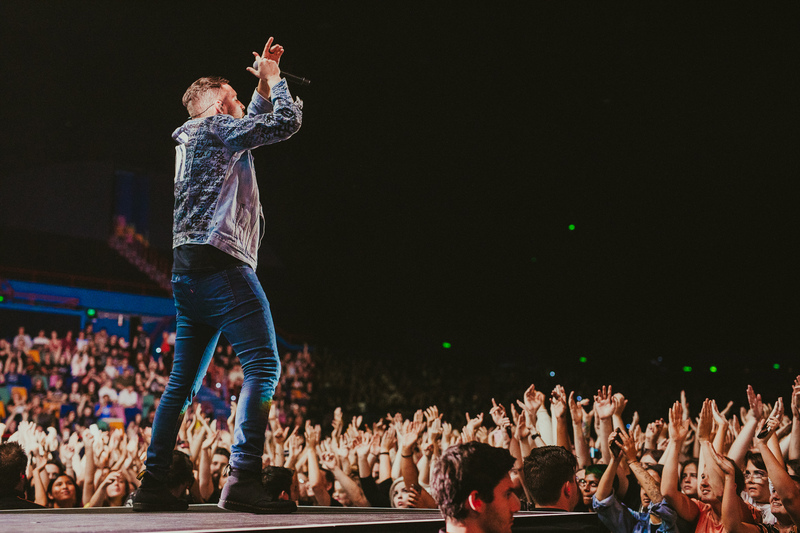 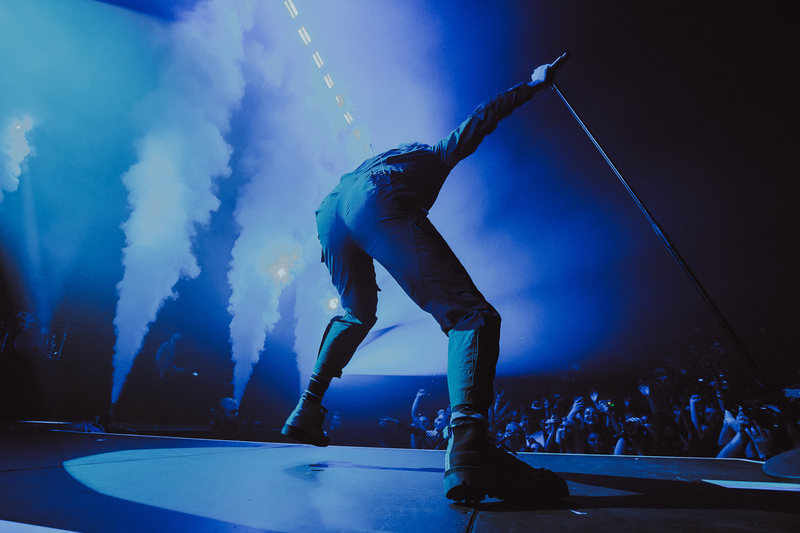 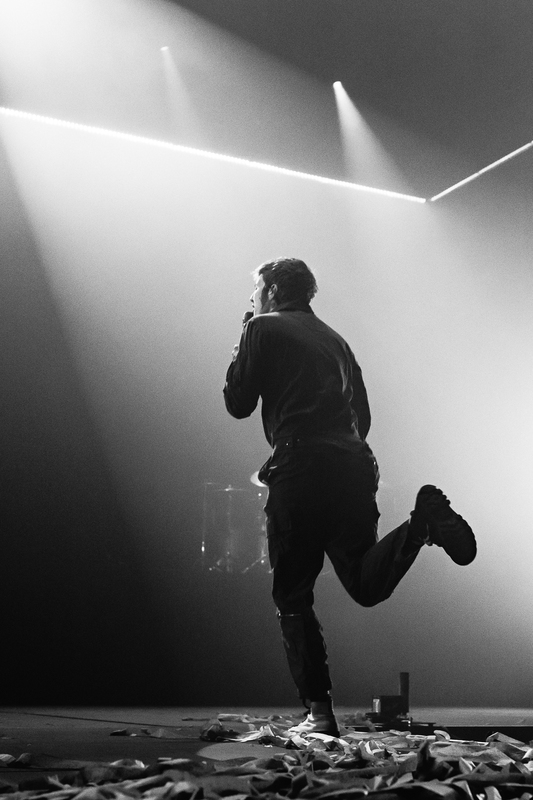 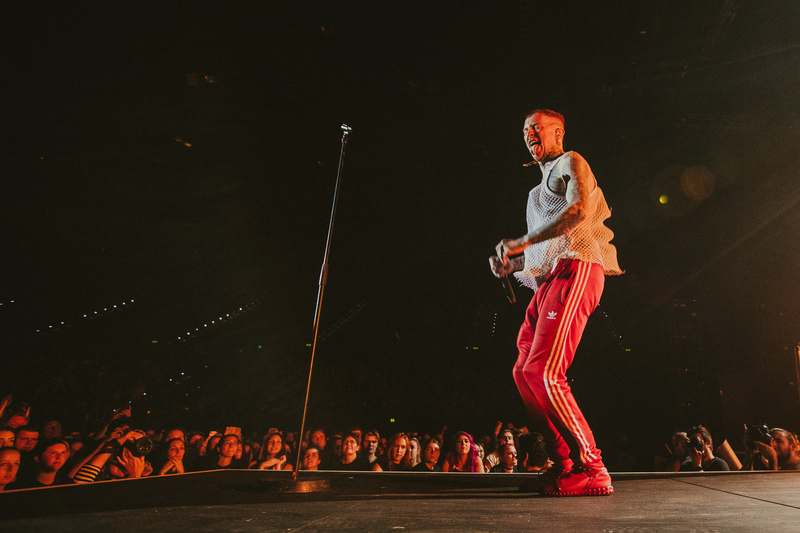 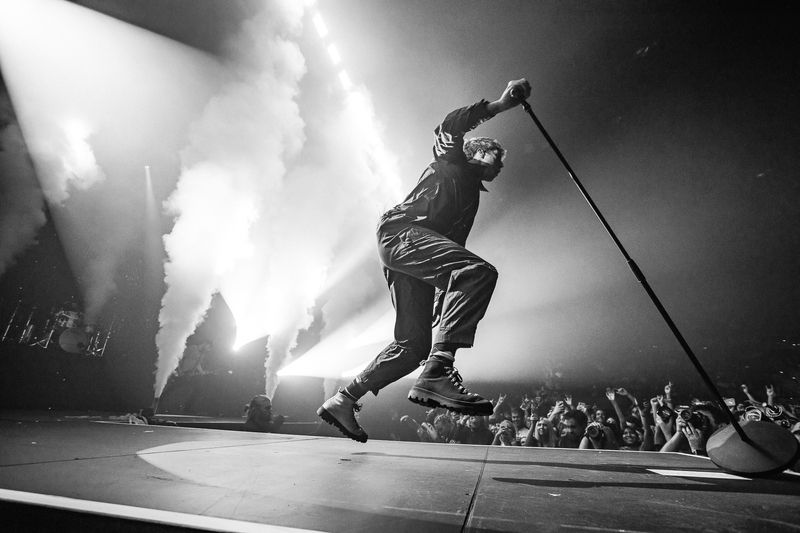 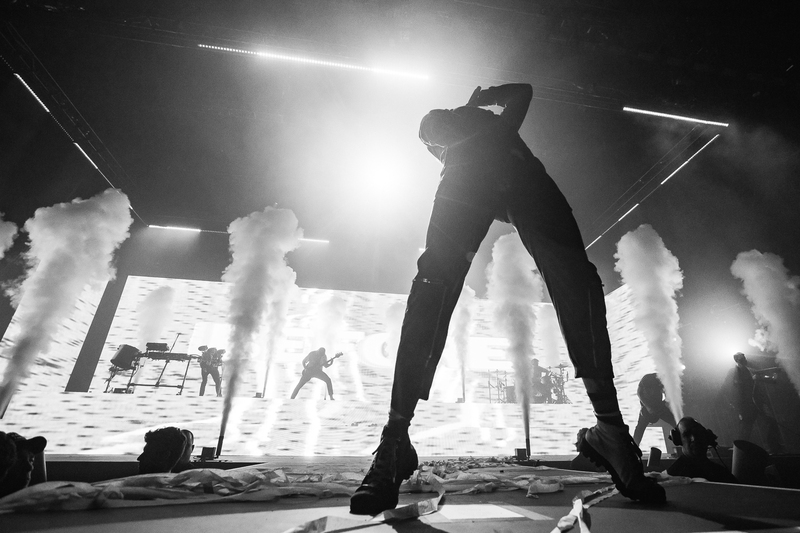 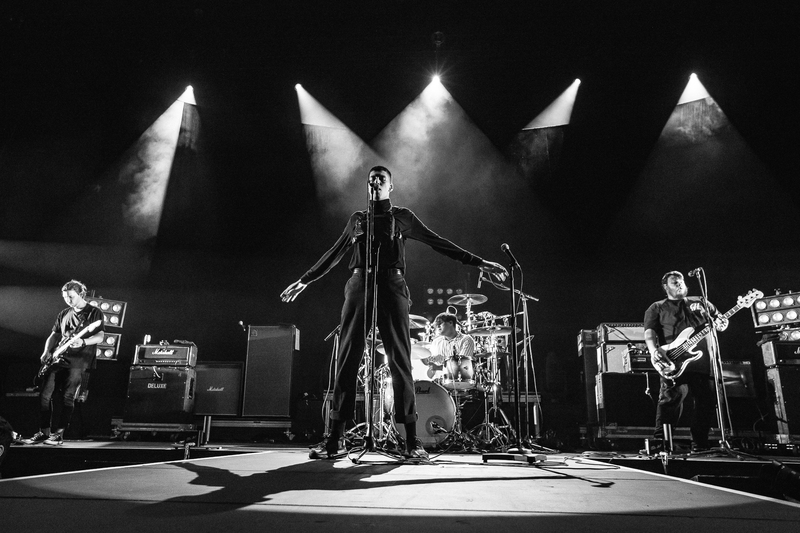 BMTH struck a perfect balance of highs and lows, giving the audience the expected hard-core headbangers, as well as stripped back acoustic numbers that showcased Skyes’ vocal talent. 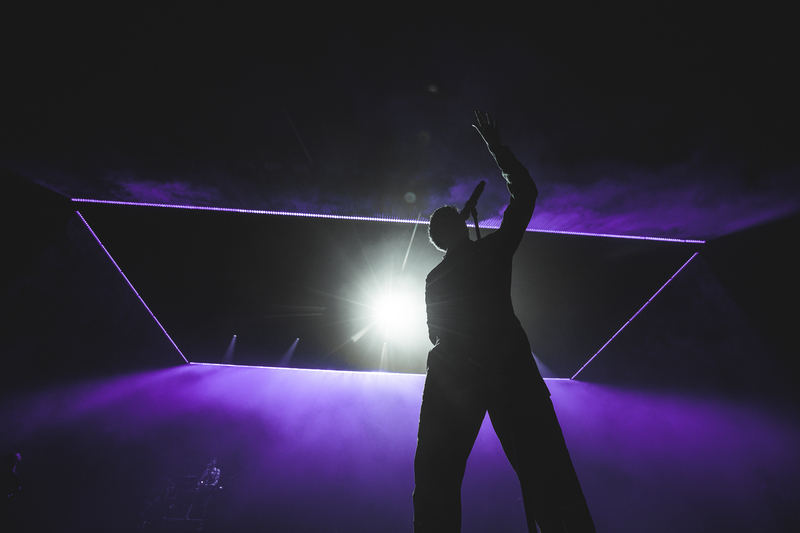 Epic crowd-stirring climaxes were juxtaposed with chilled-out musical interludes that then seamlessly led into rousing techno beats. 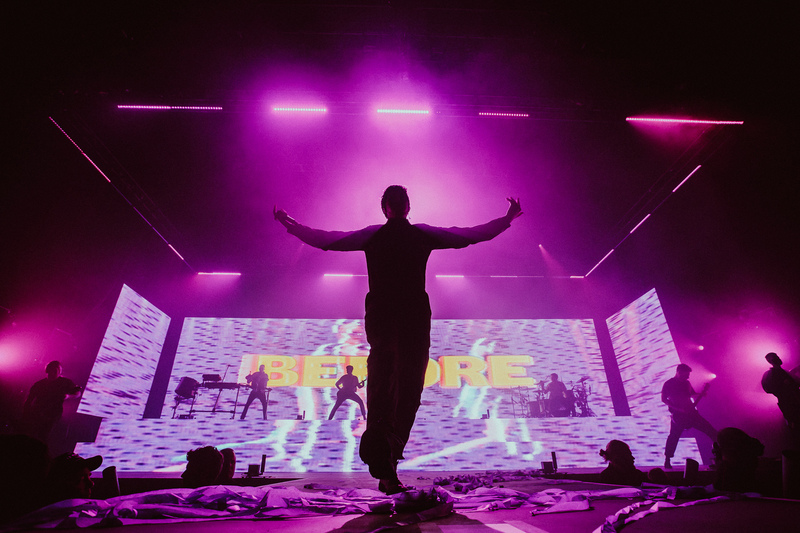 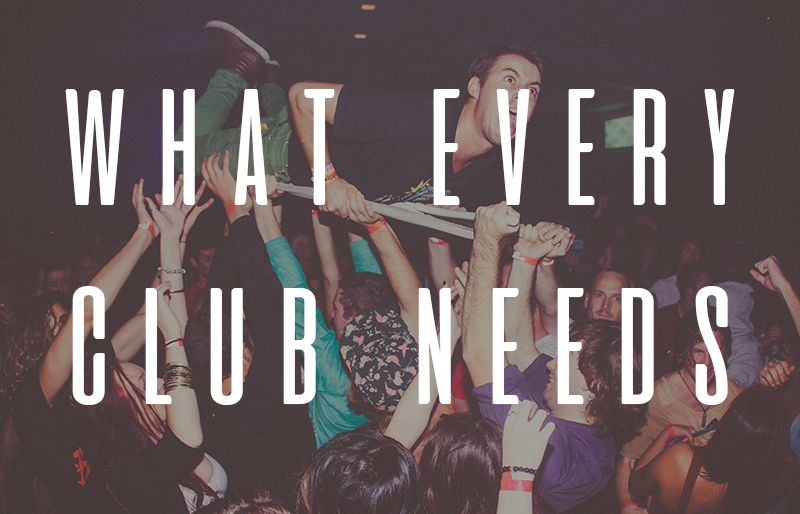 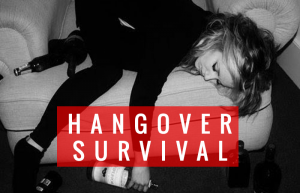 After a memorable night of music interlaced with an incredible atmosphere, we were left asking only one question: when can we do it all again?